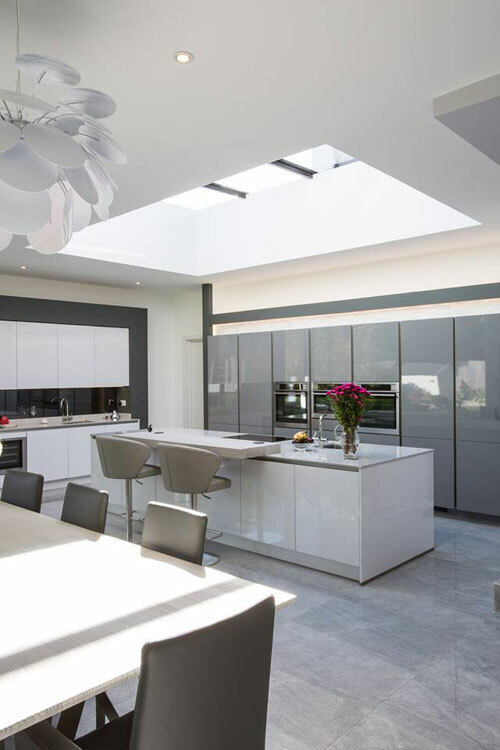 John Longley Kitchen and Bathroom Design has been responsible for numerous quality installations over the years. 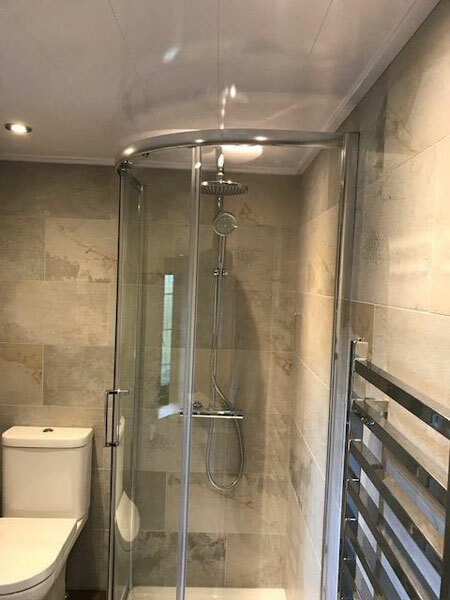 On this page we illustrate a small selection of recently completed projects courtesy of our customers. 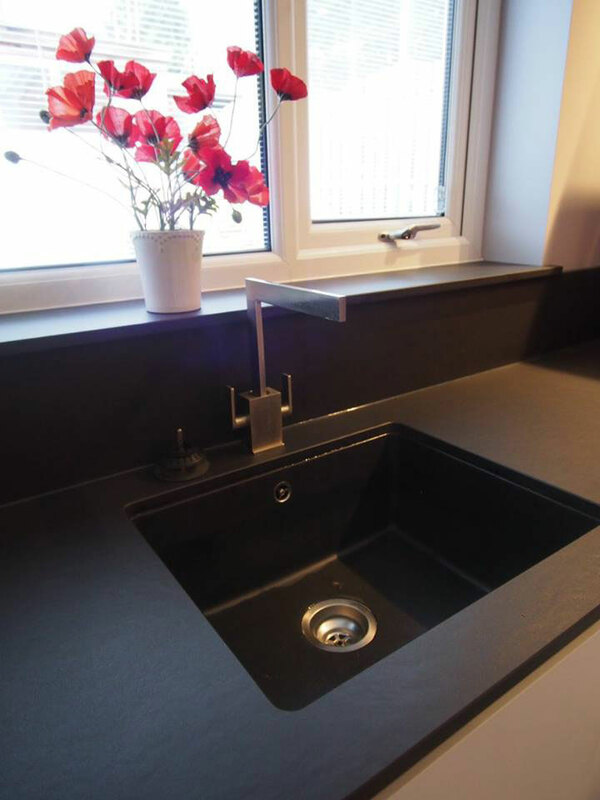 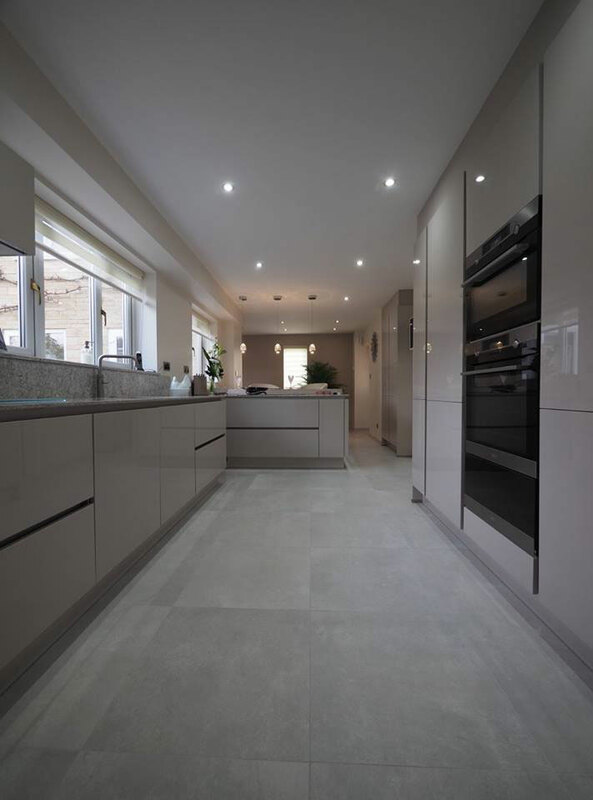 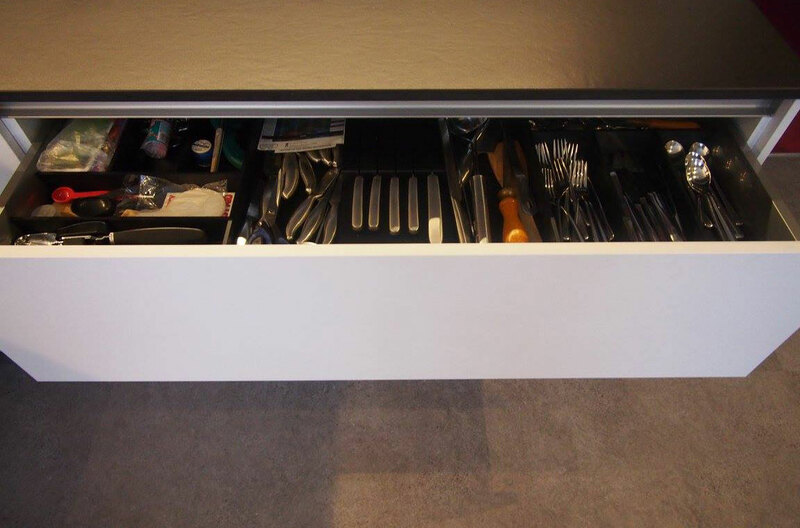 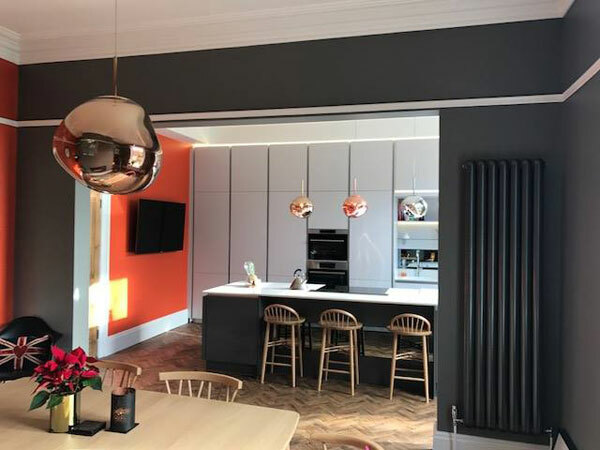 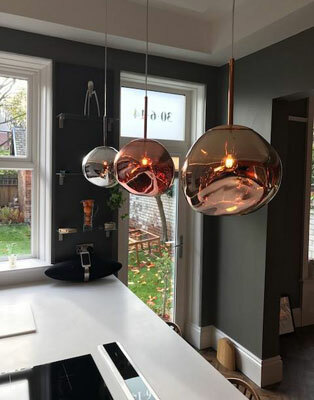 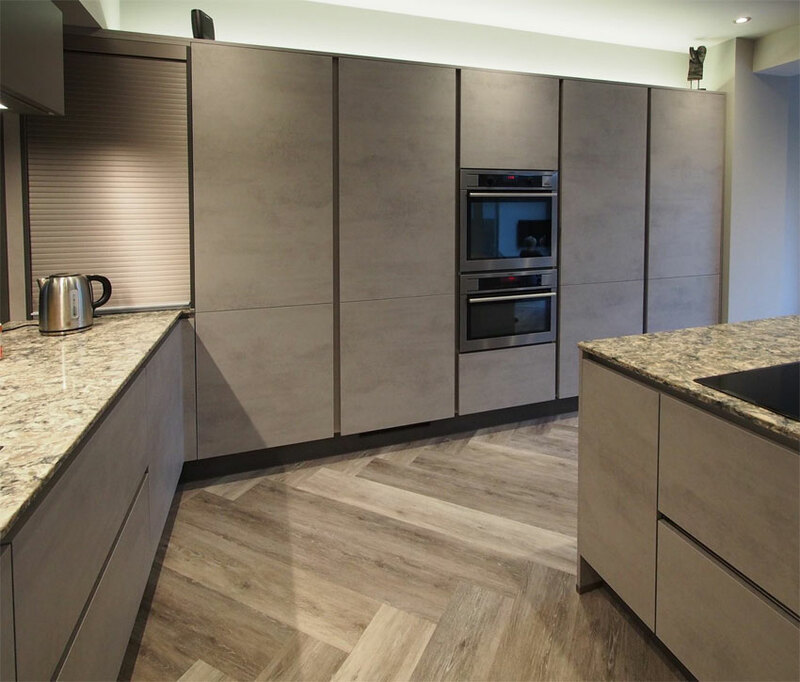 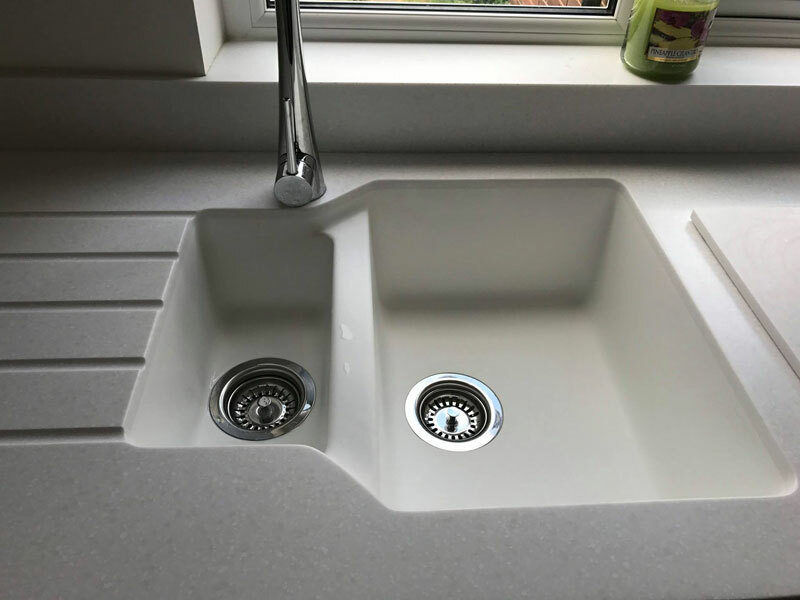 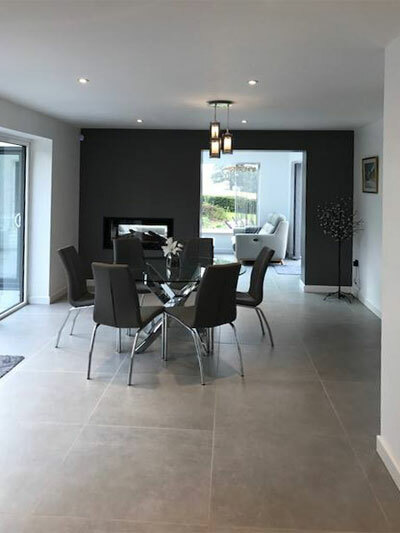 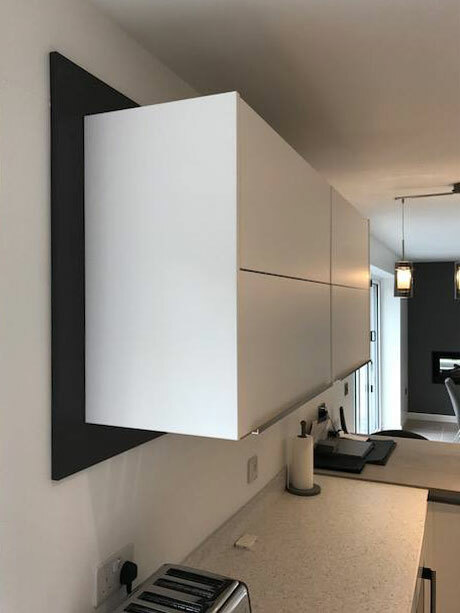 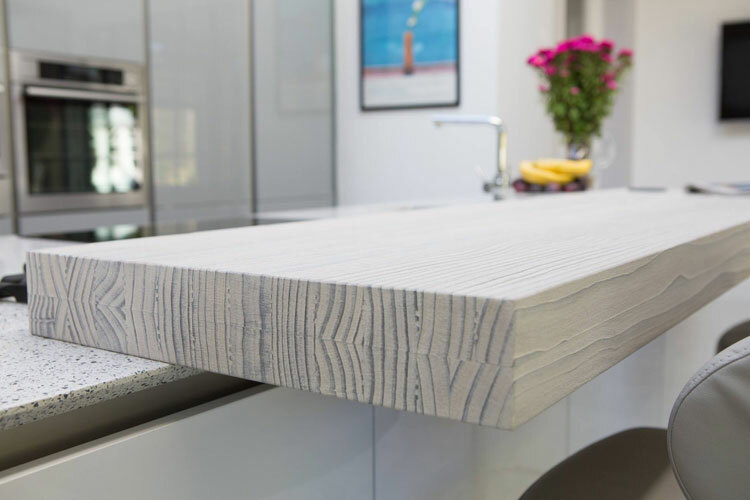 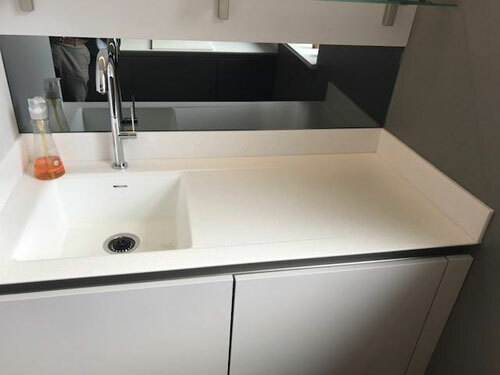 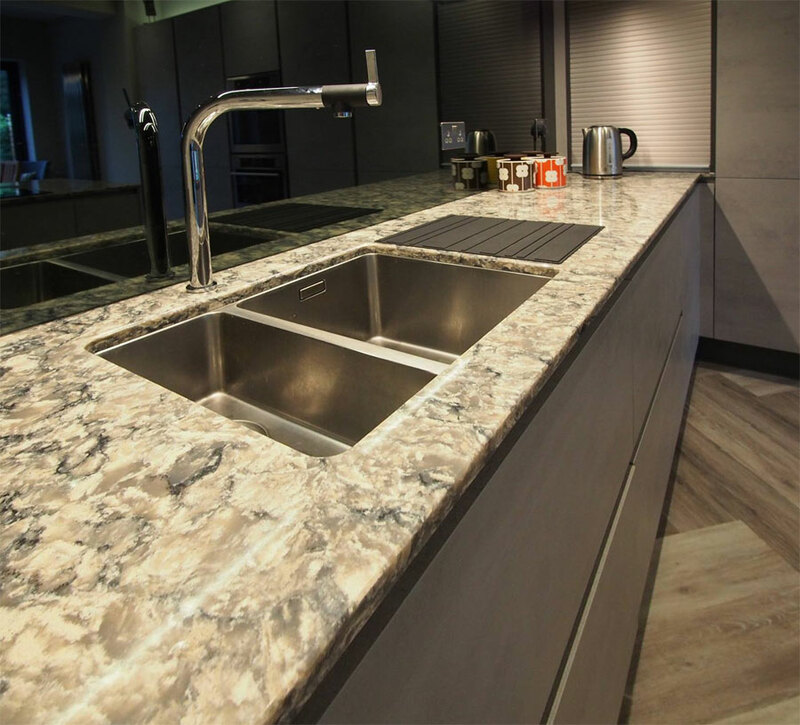 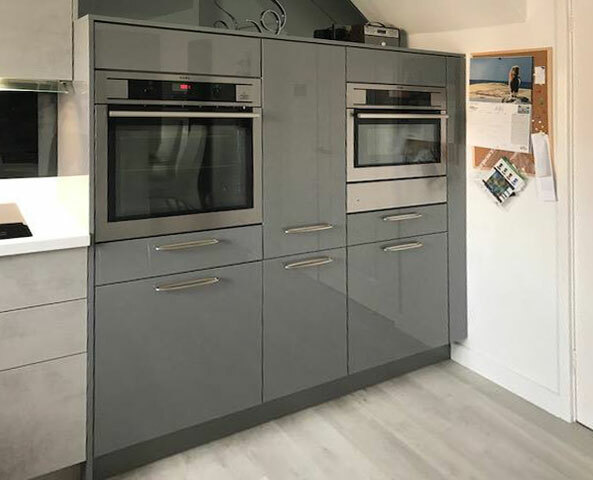 We have purposely included a cross section of kitchen sizes, from around 12m2 upwards, to demonstrate that anyone can enjoy the inginuity and clean lines of a beautiful kitchen, or bathroom, designed and fitted by John Longley Kitchen and Bathroom Design. 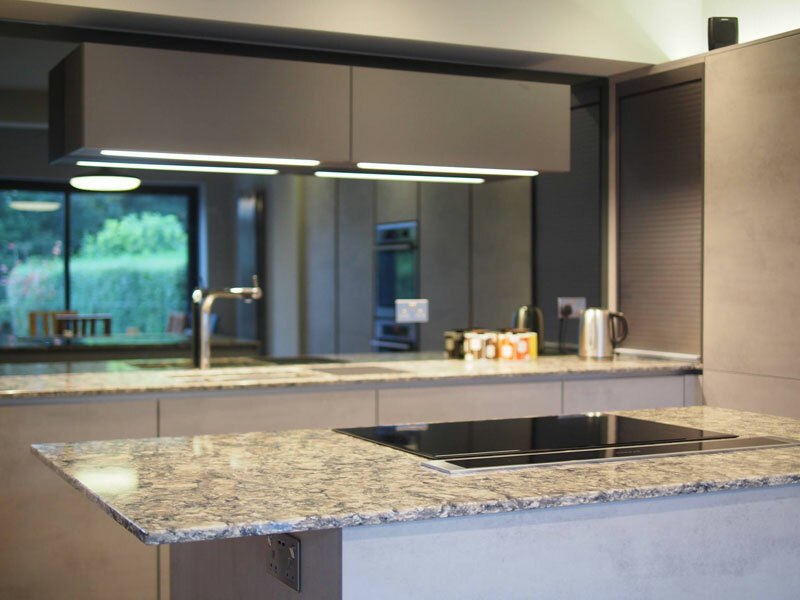 The natural ambience of sand and stone, together with timeless contemporary design, makes for a beautiful kitchen with lasting appeal. 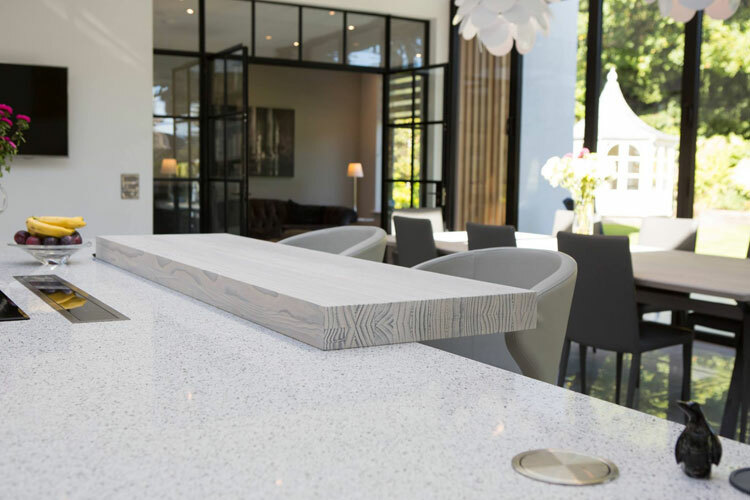 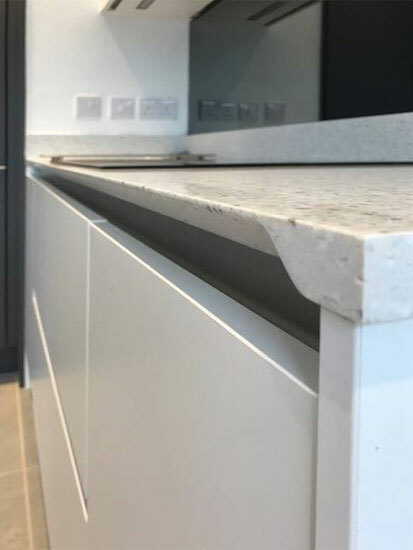 Nobilia handless kitchen units in 'Sand' are crowned with Silestone surfaces (by Cosentino) and a solid pine breakfast bar top handpicked from a sustainable source - sublime! 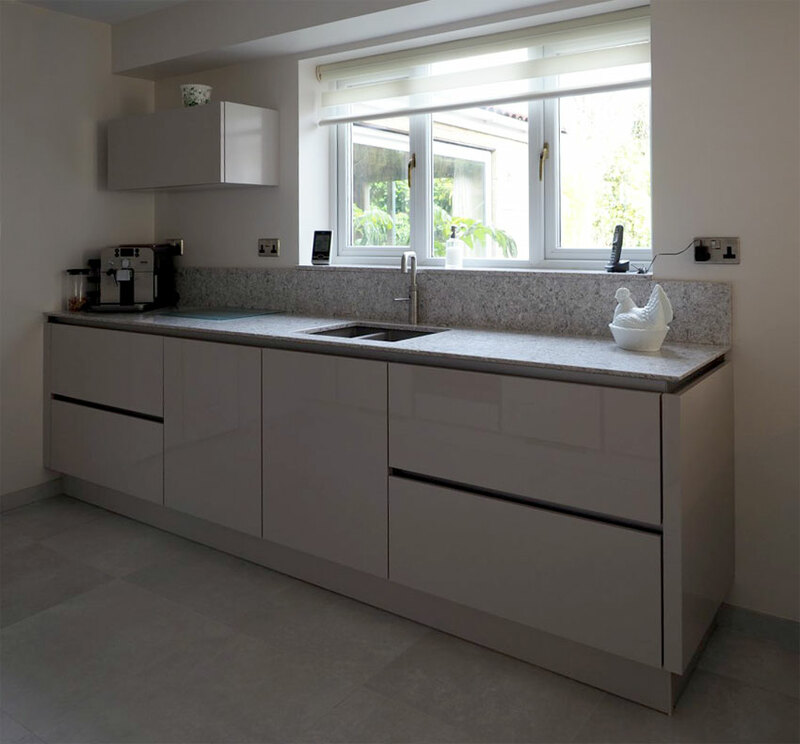 Simplicity was the key to creating this stylish, understated kitchen packed with innovation, space-saving features and state-of-the-art kitchen hardware. 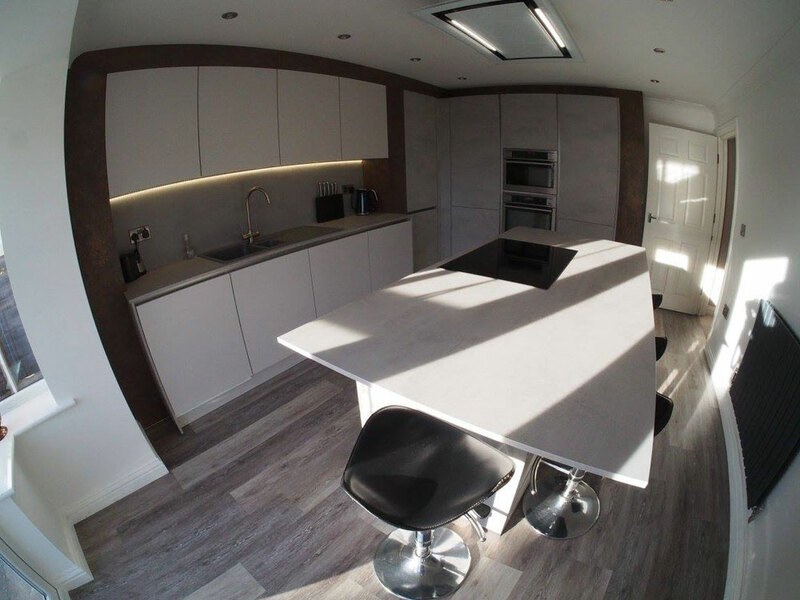 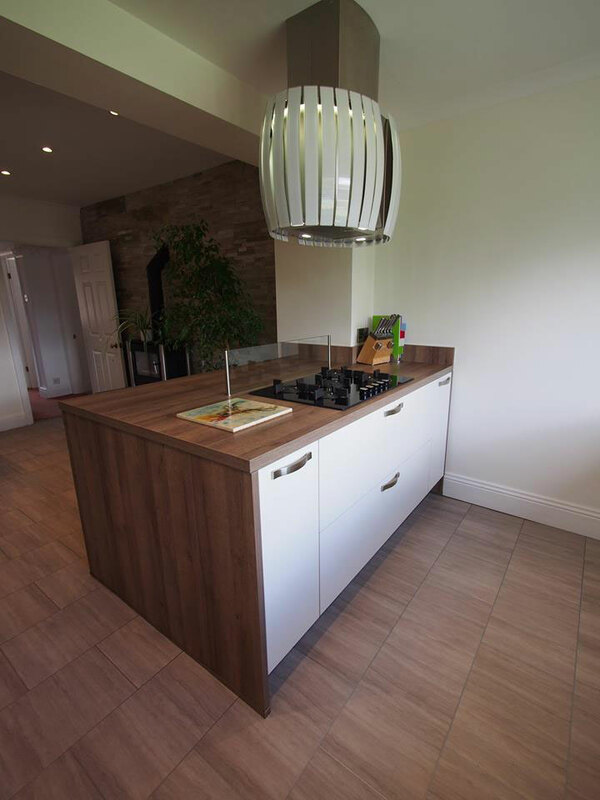 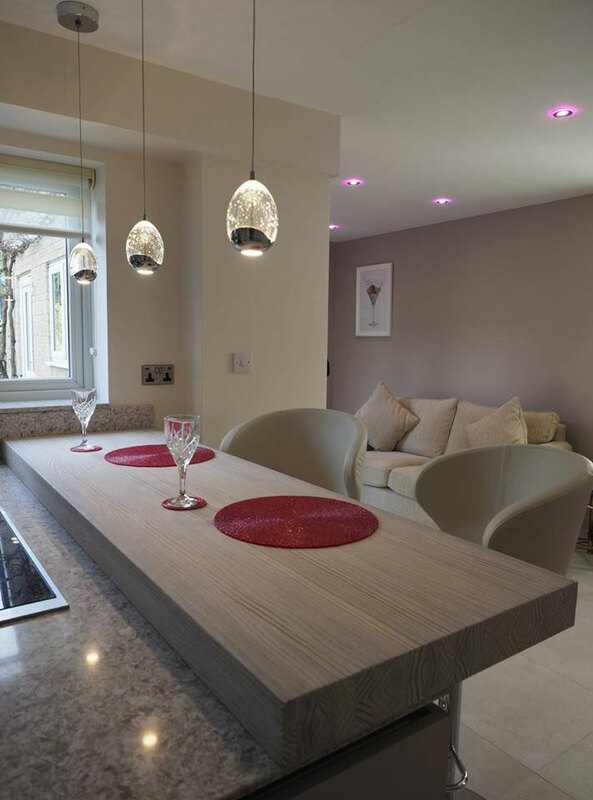 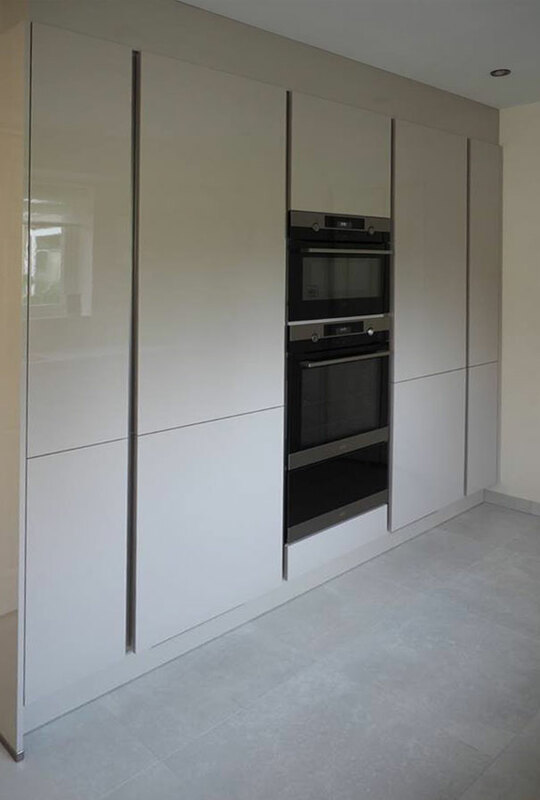 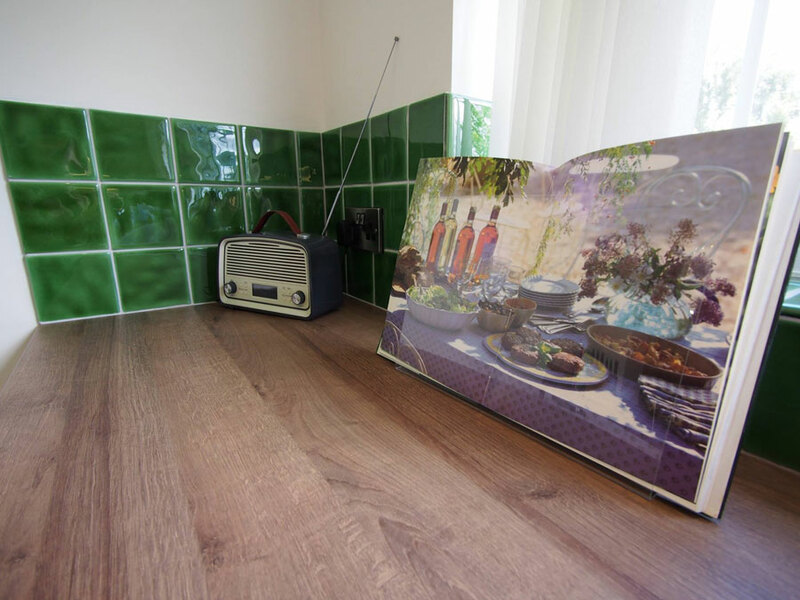 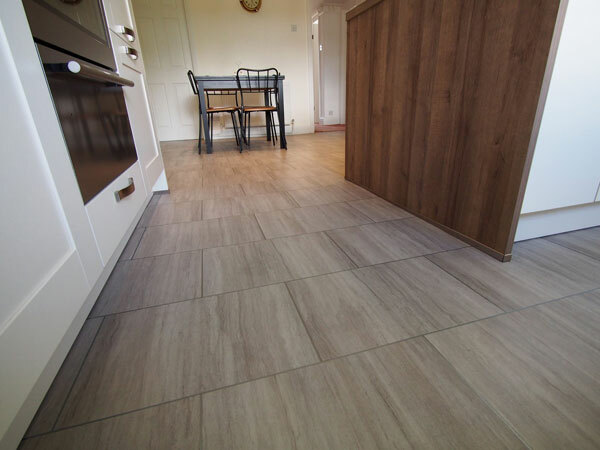 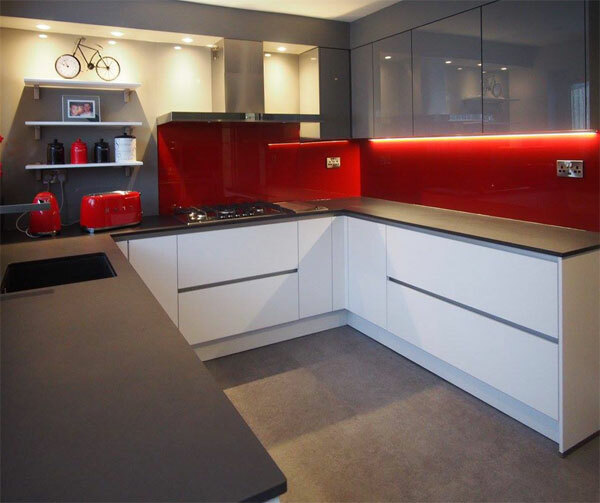 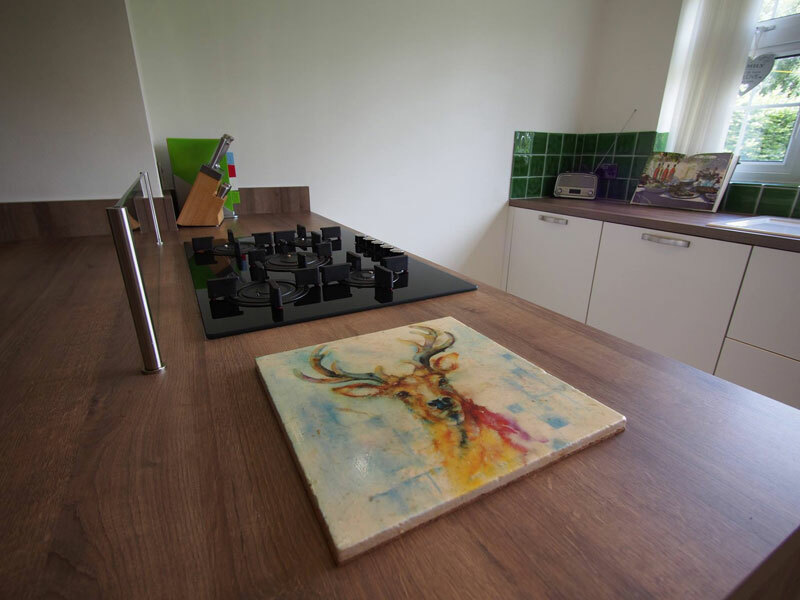 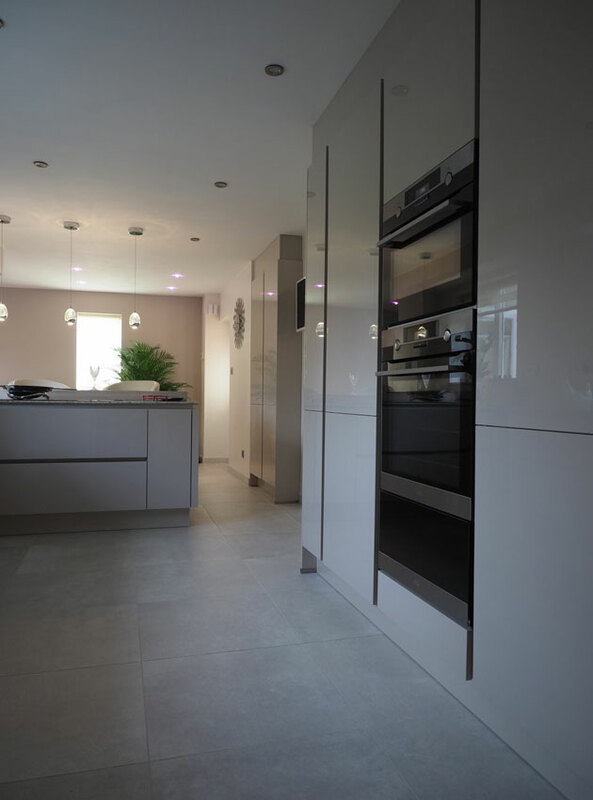 The customer requested a light, modern kitchen with space for entertaining and we have delivered just that - and more! 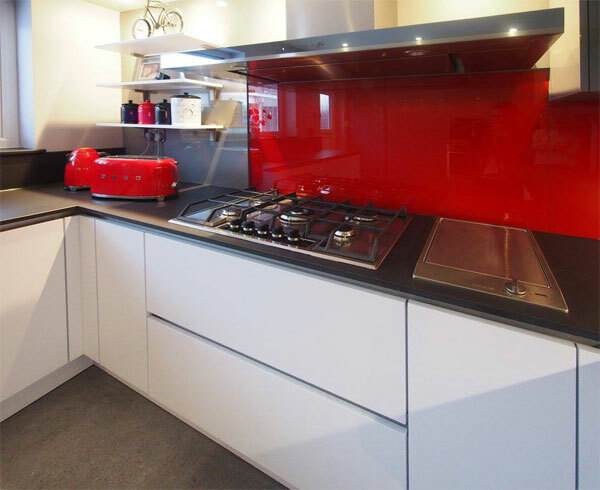 Combining beautiful design with a strong colour concept only works if the secondary colours used complement one another. 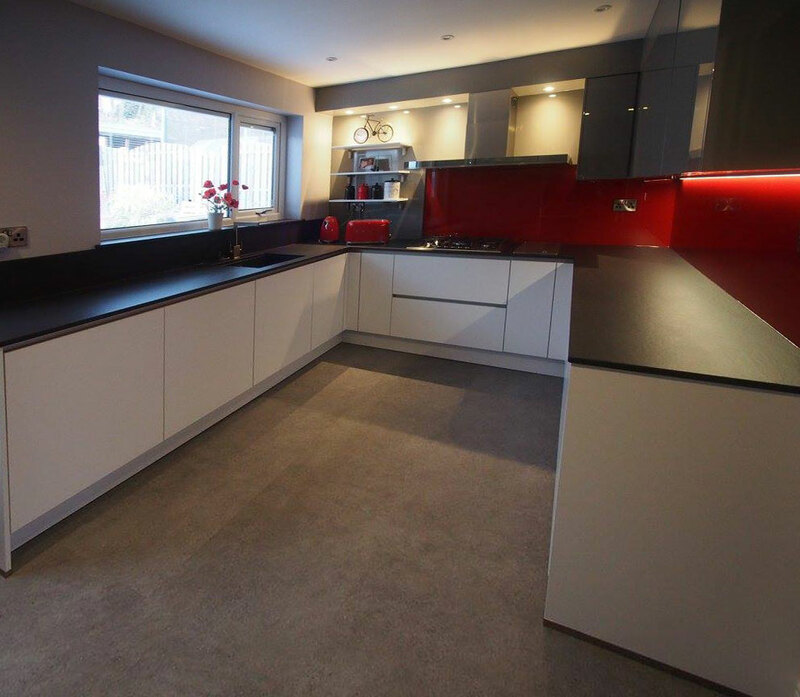 The bright red splash back contrasts beautifully against the whites and greys of the cabinets and chamfered worktops (Dekton by Consentino) creating a focal point centred on the hob, the place where culinary magic happens! 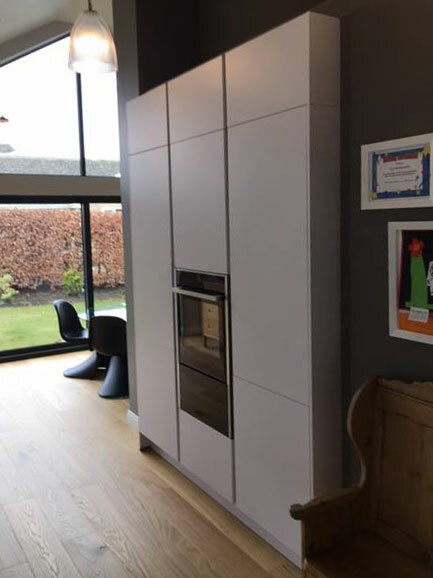 This incredible build, created by the talented Whitshaw Builders, really does have the Wow Factor! 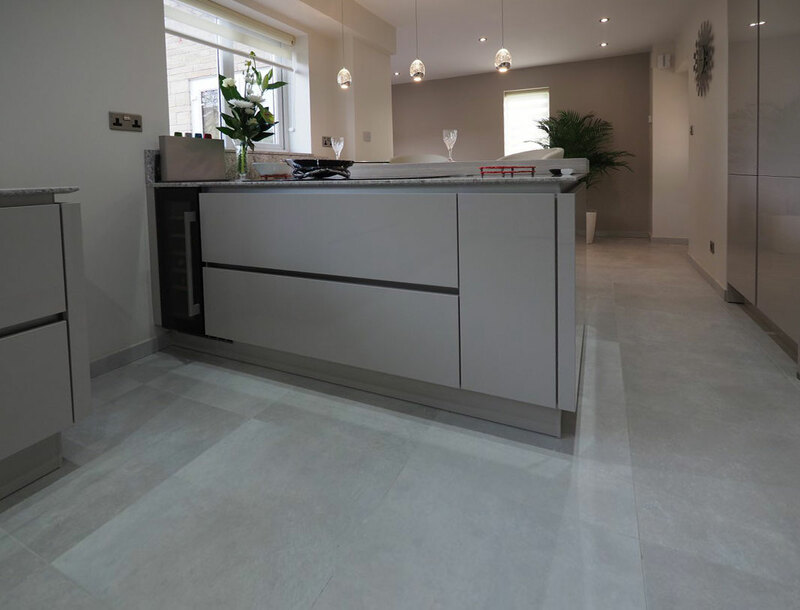 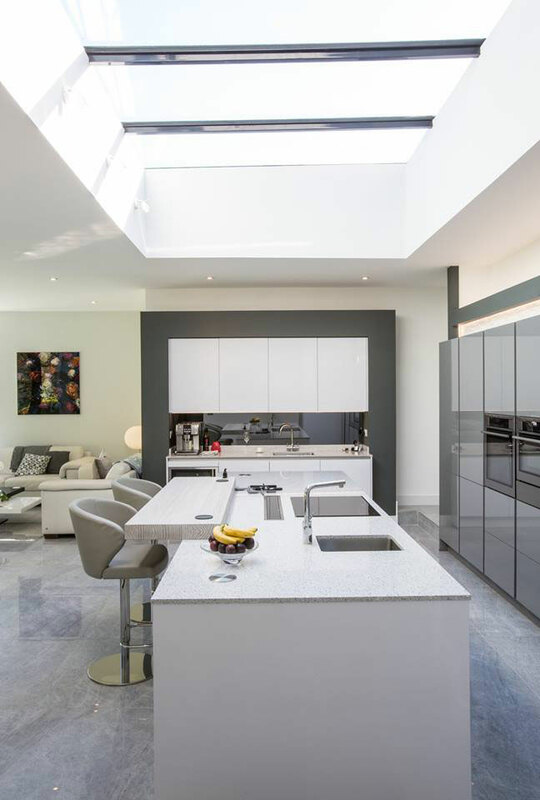 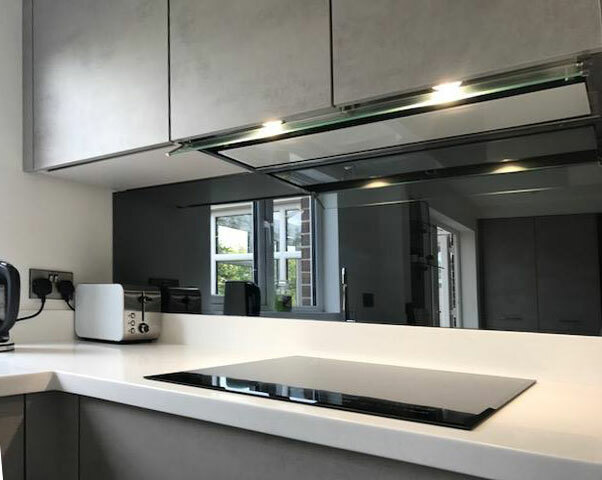 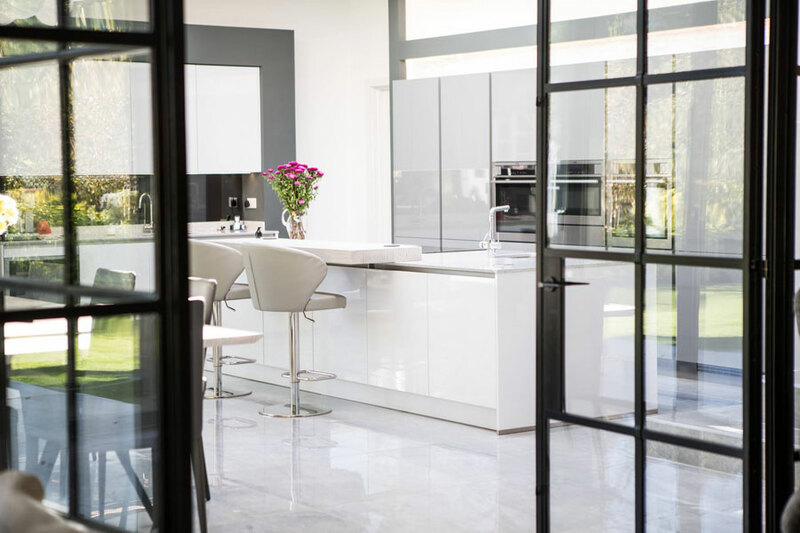 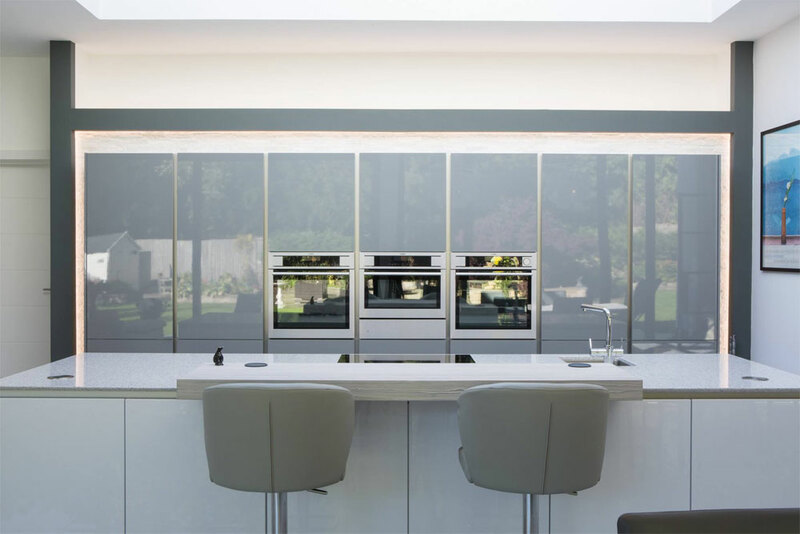 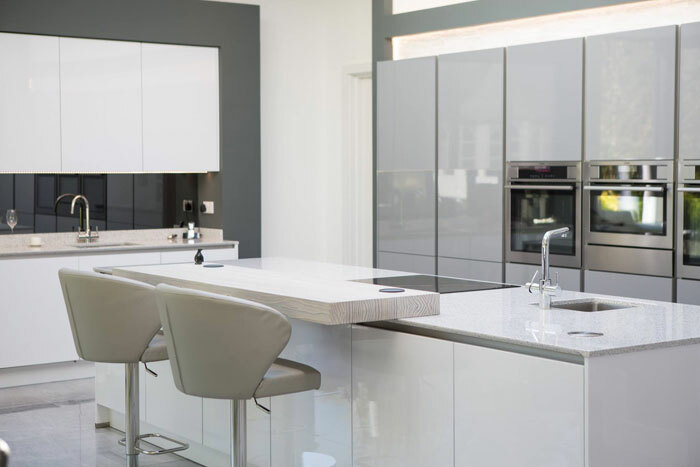 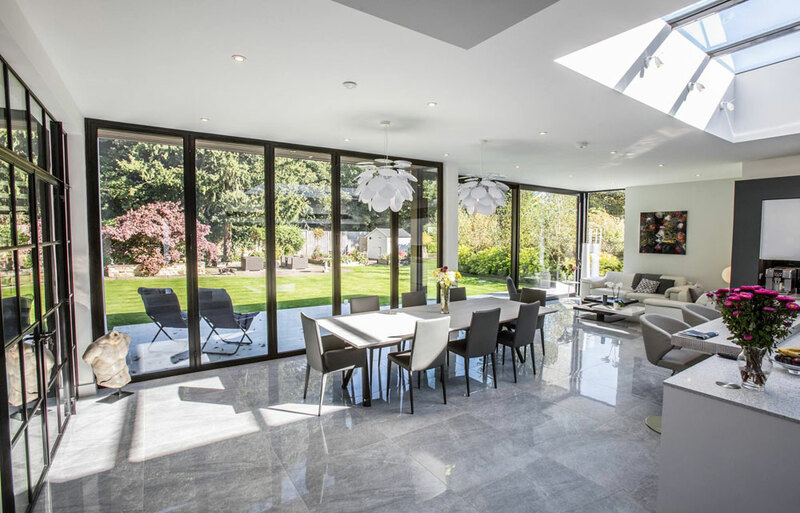 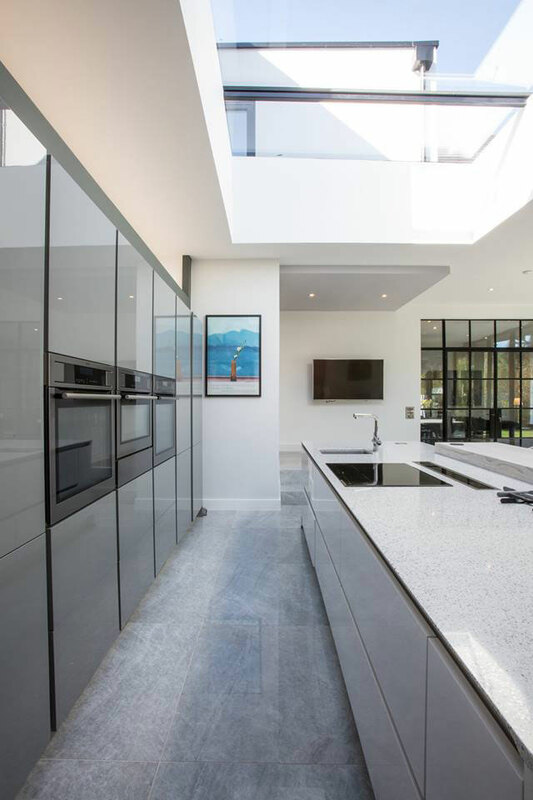 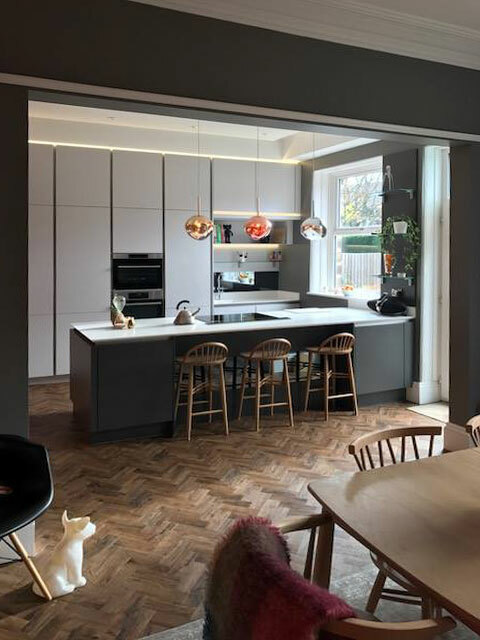 We designed this sleek, stylish kitchen with plenty of high gloss finishing to work with the abundance of natural light that floods into the space. 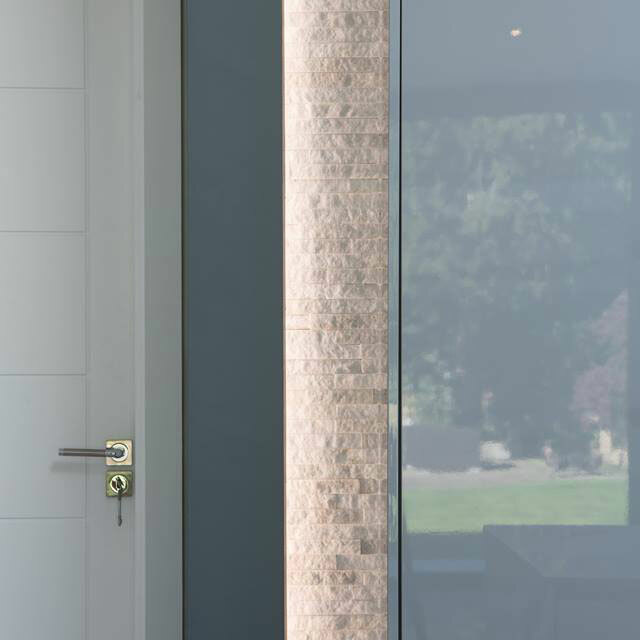 The clean lines and linear aspect mirror the panoramic outdoor views and is enhanced by impressive tall units with integrated high-tech appliances. 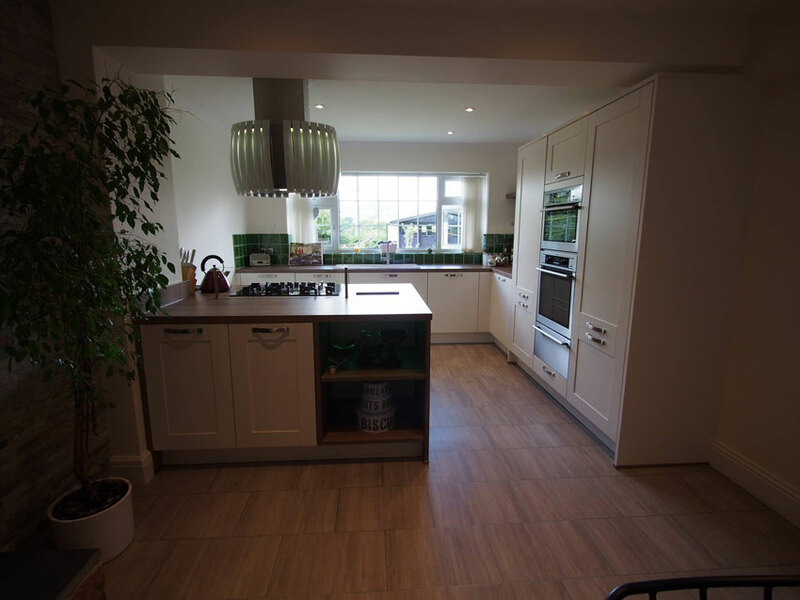 All pictures courtesy of Marc Wilmot. 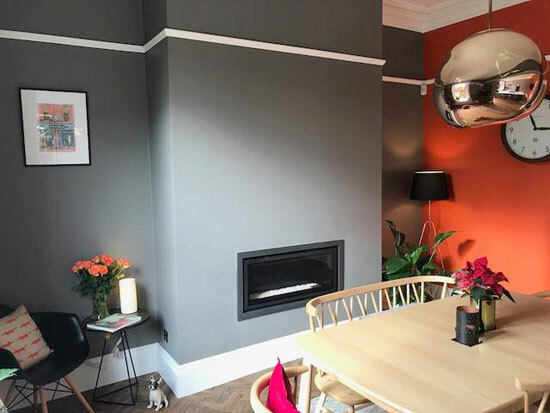 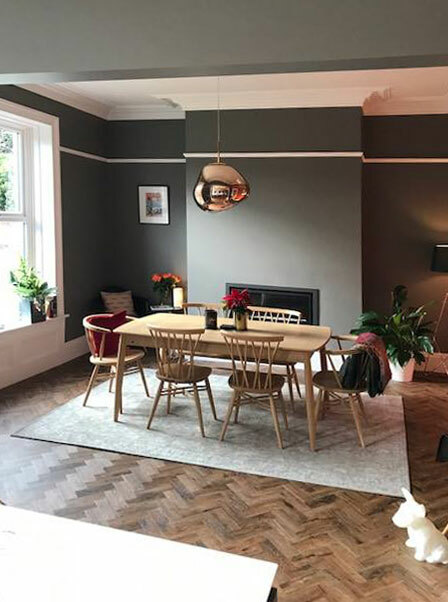 This beautiful space oozes so much character, introducing new ideas whilst retaining the house's original charm and features. 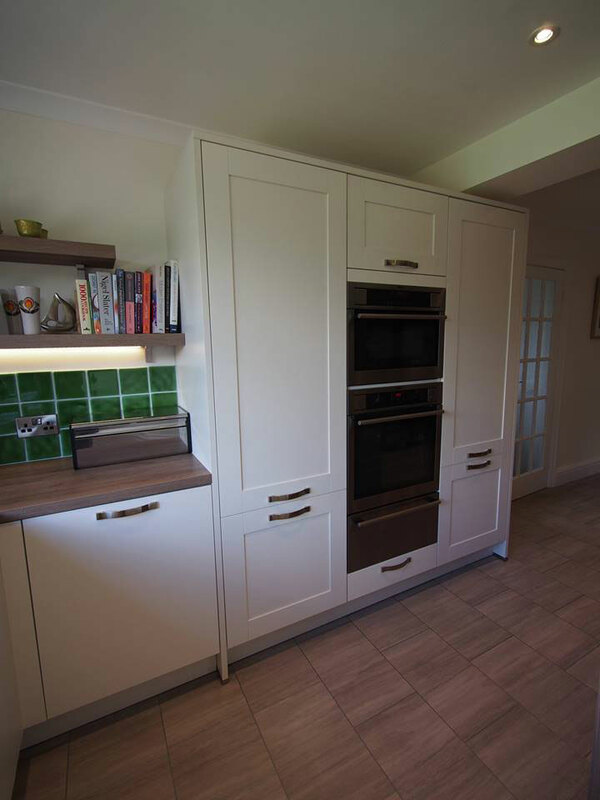 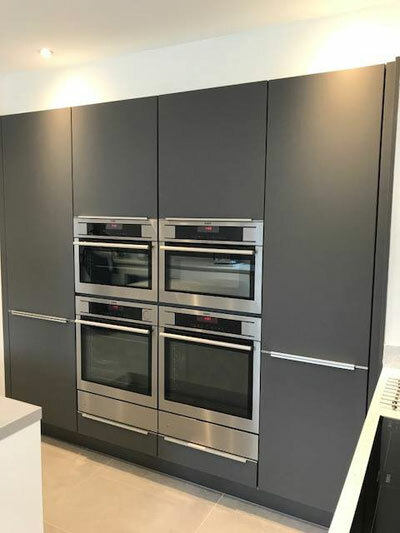 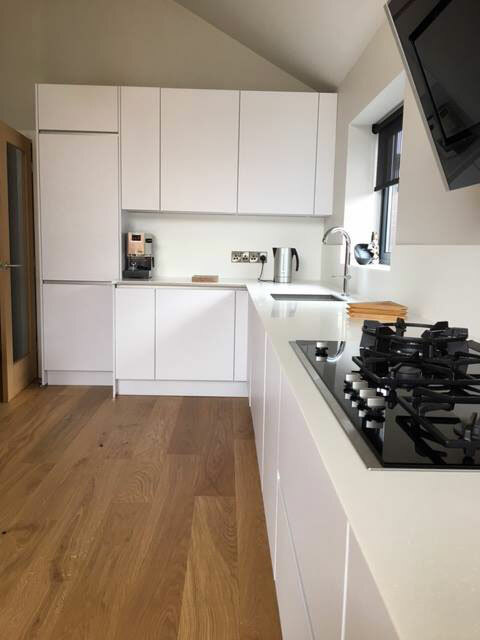 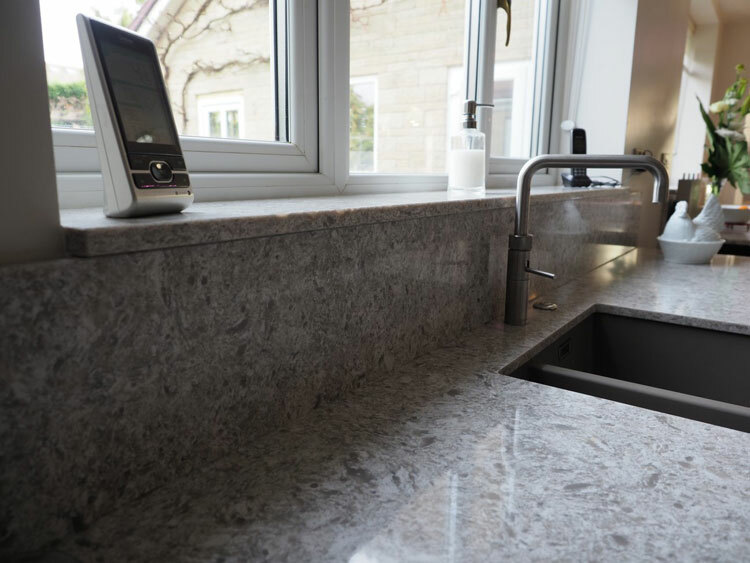 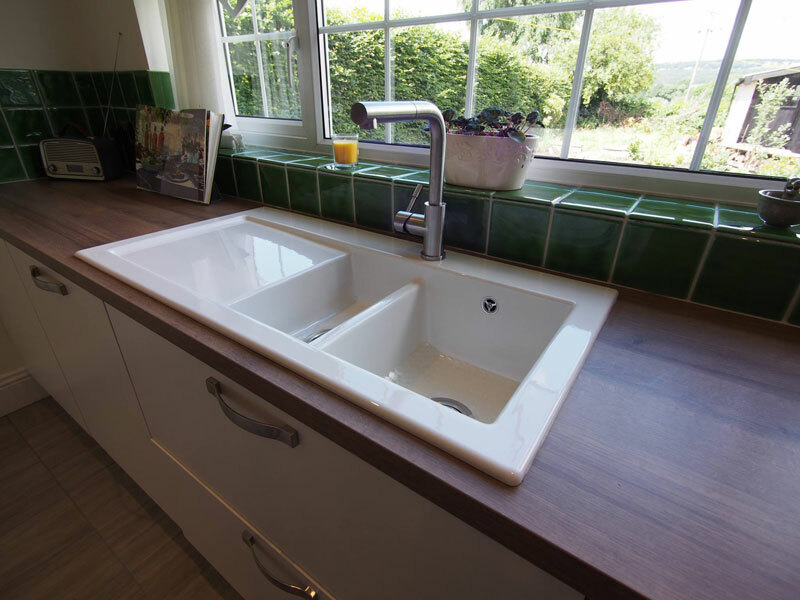 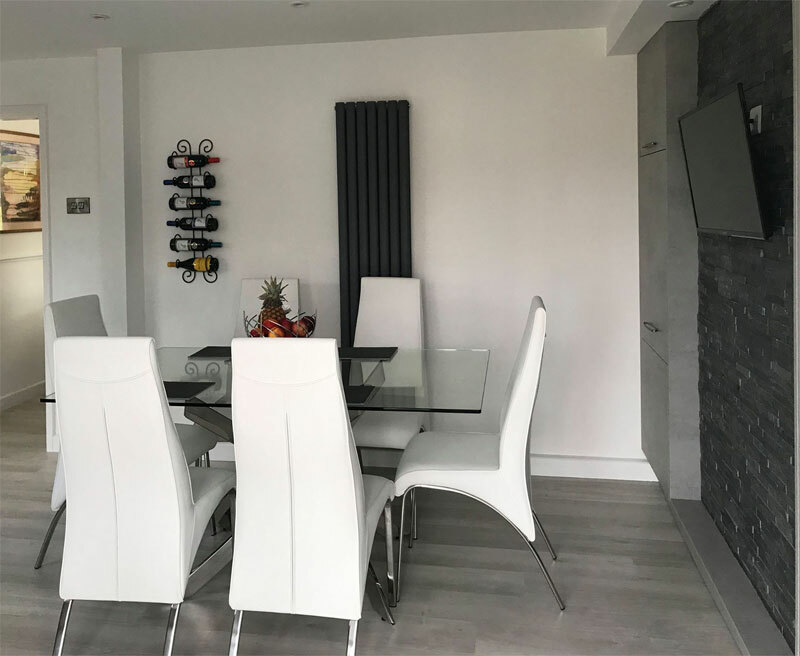 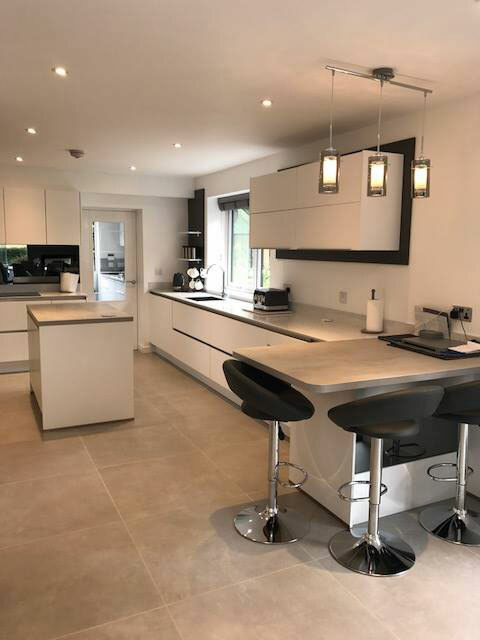 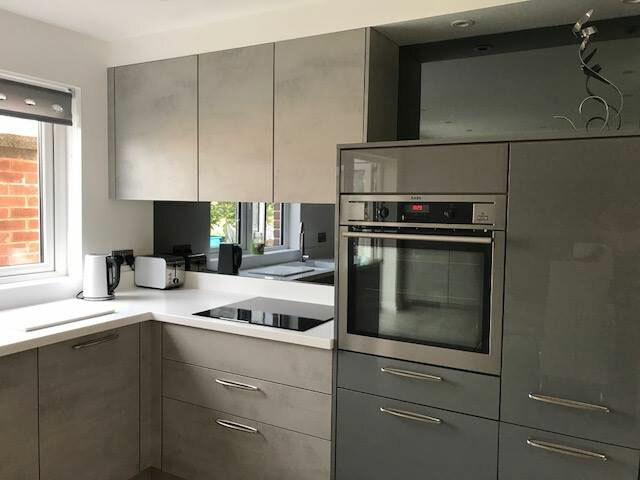 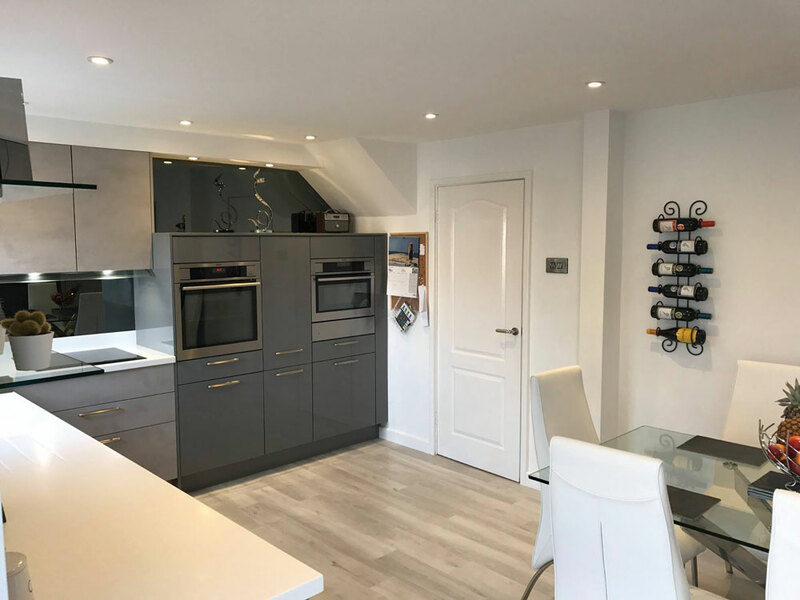 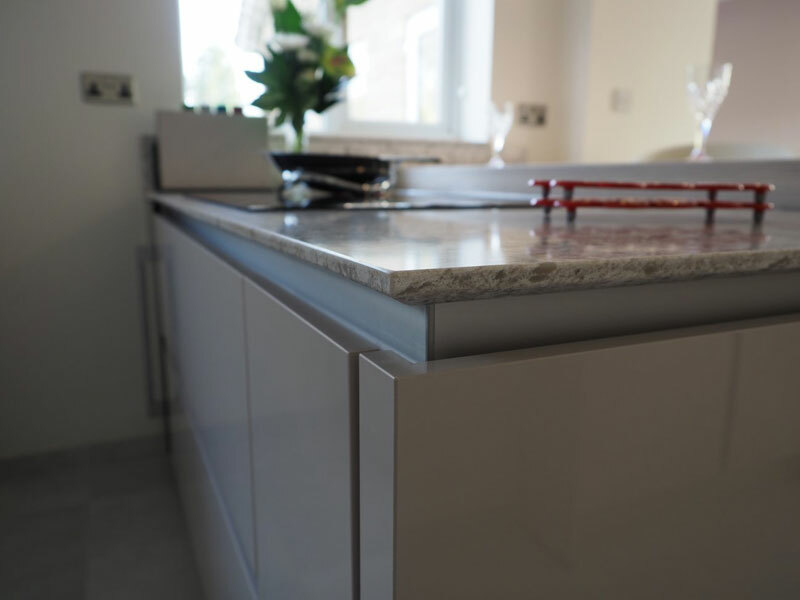 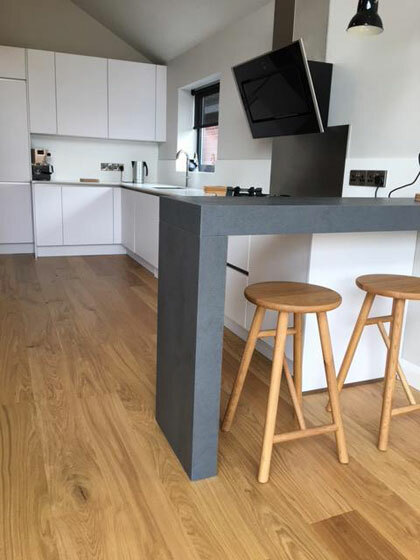 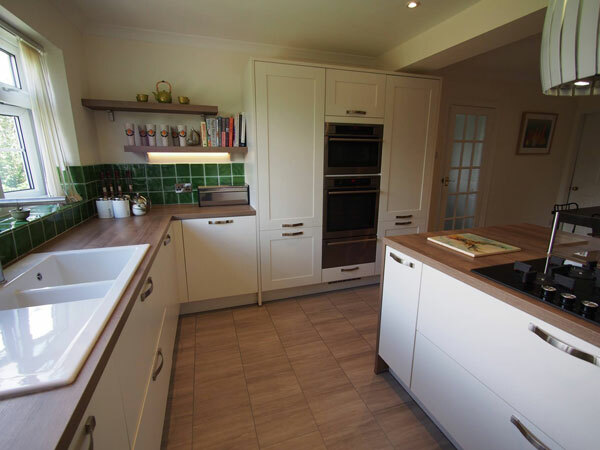 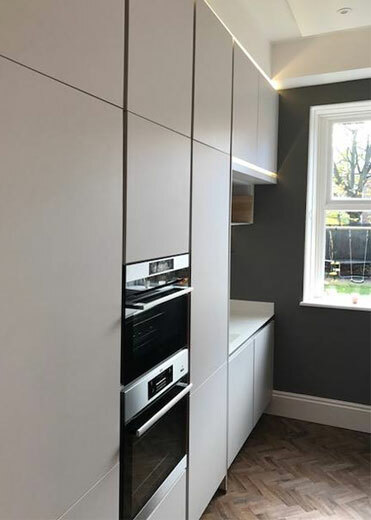 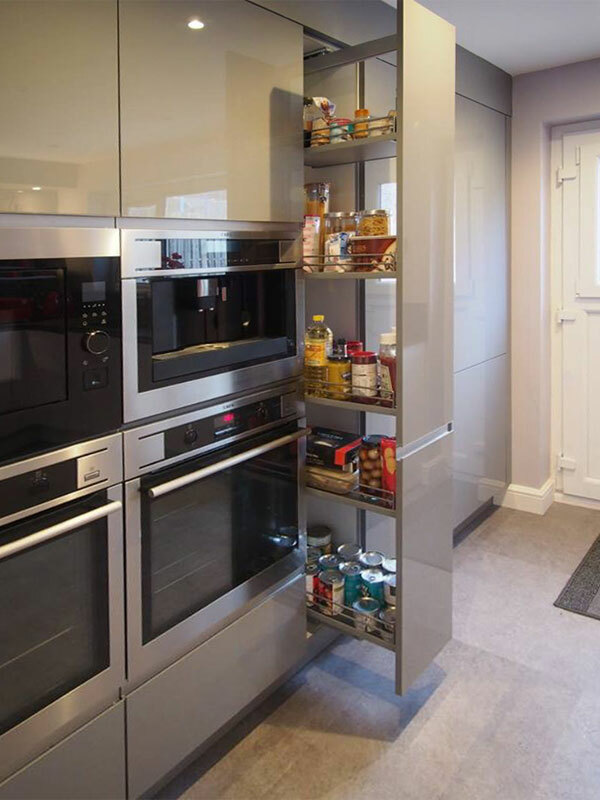 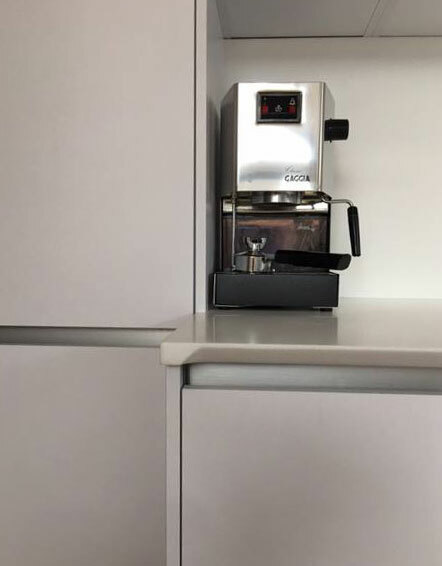 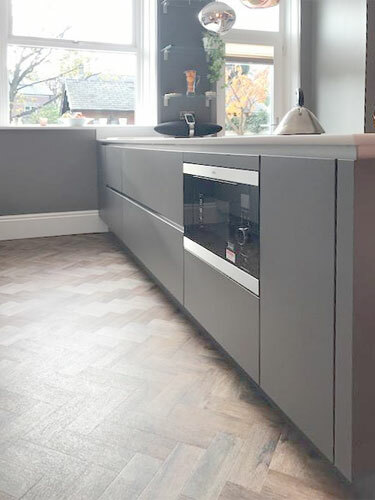 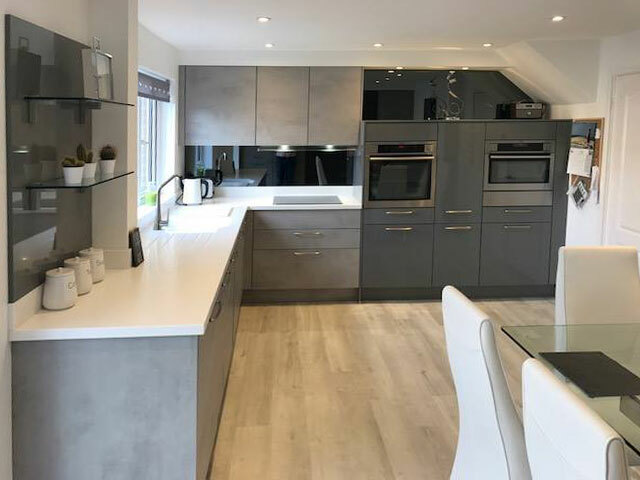 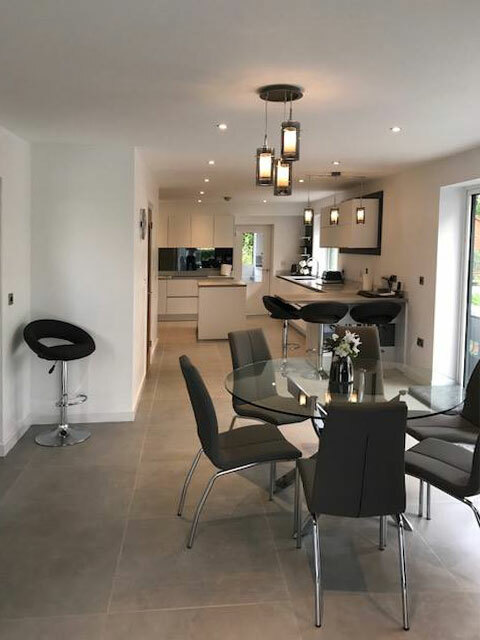 Our customers have used traditional style furniture which works fantastically well with the neutral tones of the modern kitchen units, seamless Blanco sink and state-of-the-art appliances. 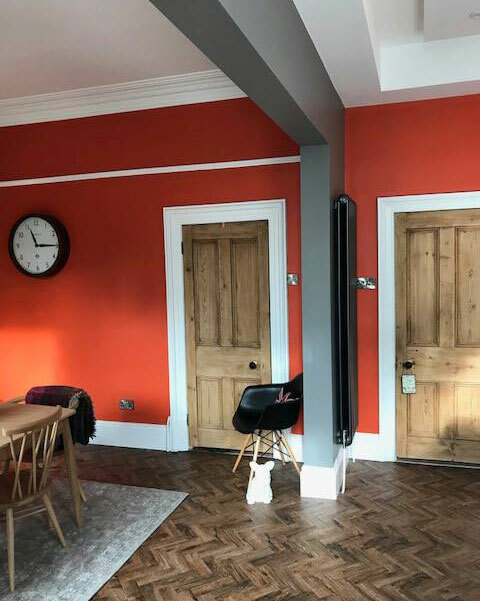 This beautiful space is full of character, combining old with new whilst still keeping the original charm and features. 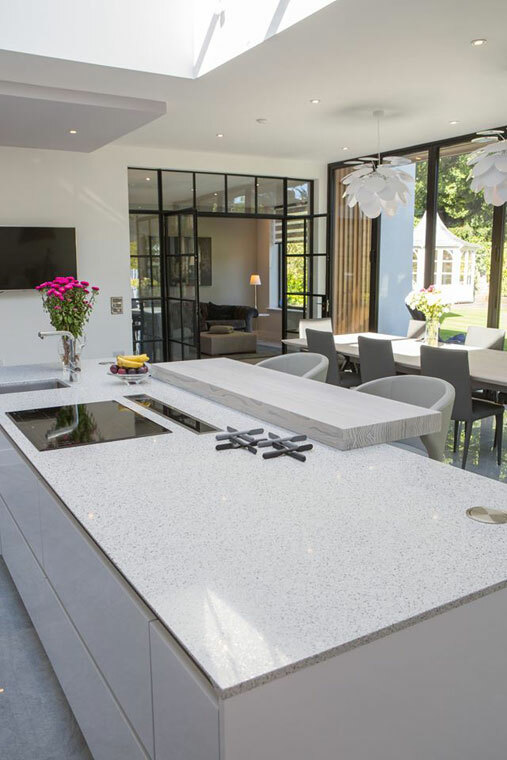 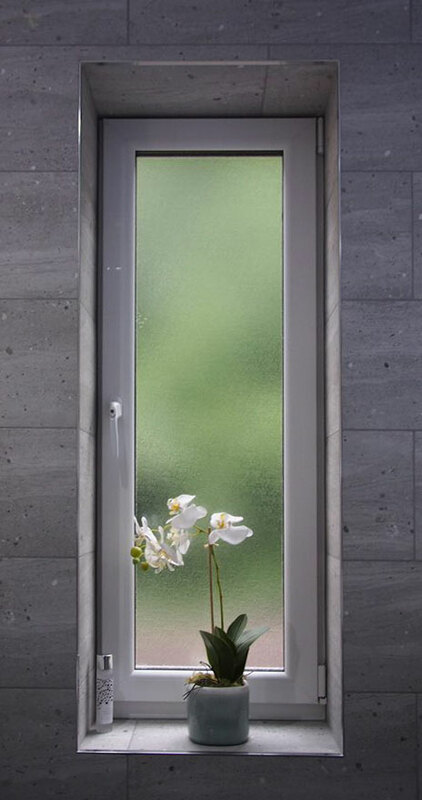 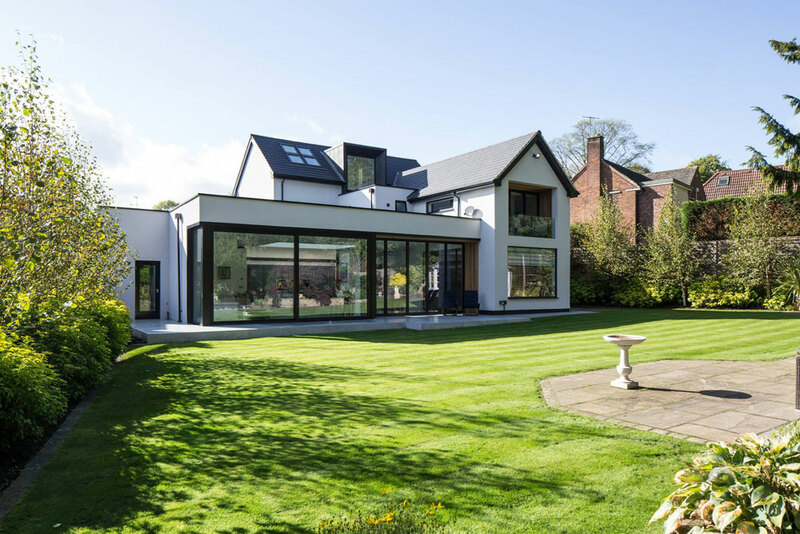 The beautiful outdoors is reflected in the large smoked grey mirrored splash back creating a real sense of space. 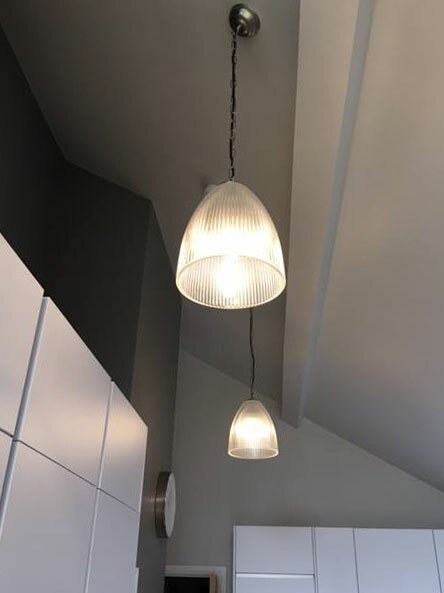 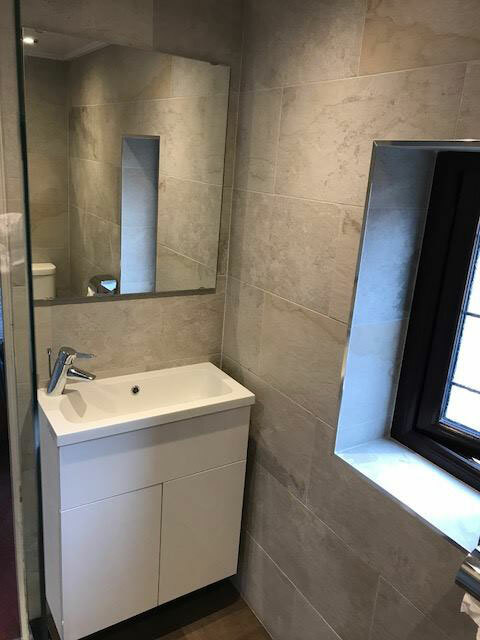 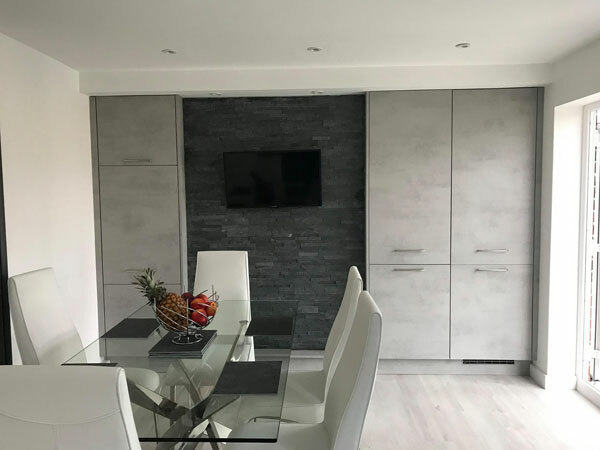 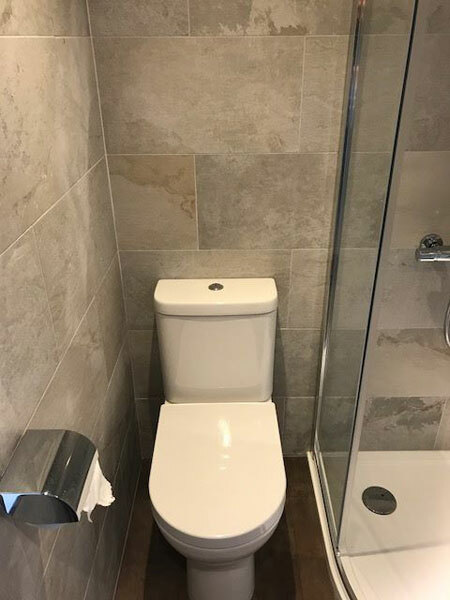 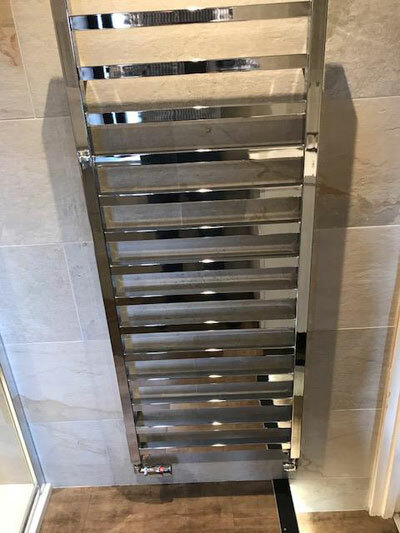 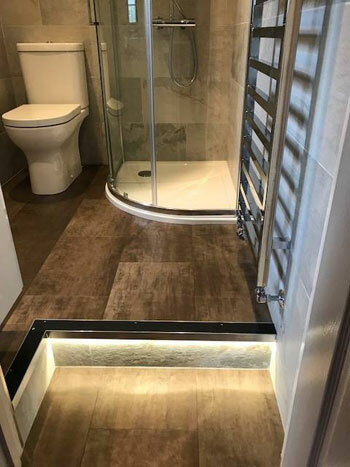 We have installed a tambour roller unit to conceal extra storage space and have added to the glamour by using lighting on the slate grey wall units. 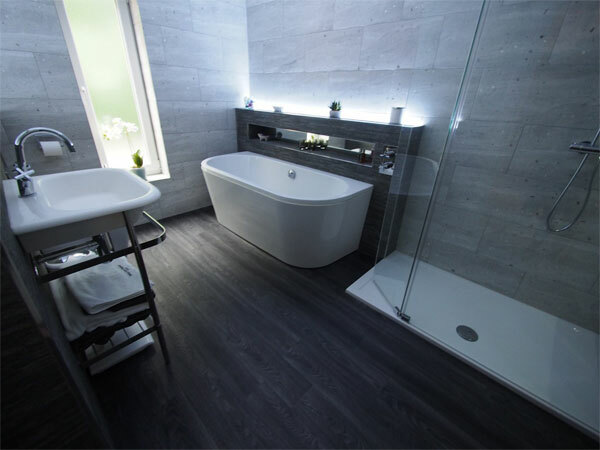 We teamed up with Marples Joinery to create this stunning bathroom which radiates a sense of calm and relaxation. 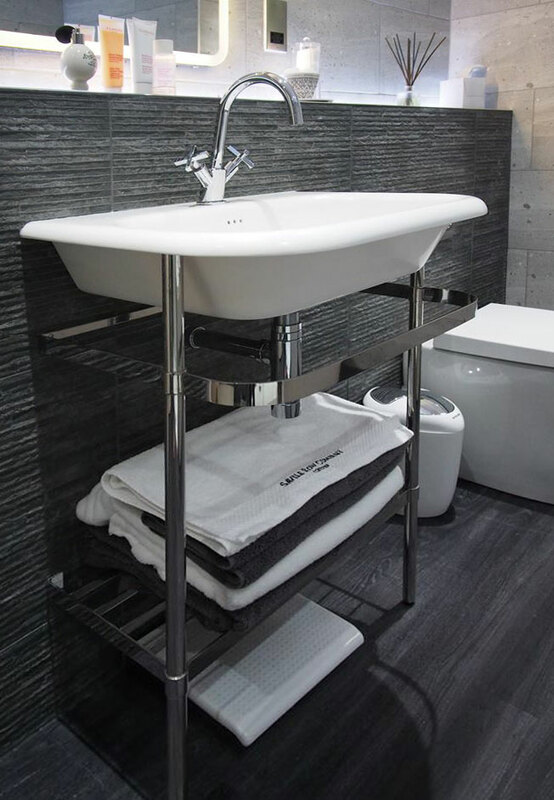 The concrete and slate effect tiles create the ambience while the Double Quick Heating radiator in anthracite ensures total comfort. 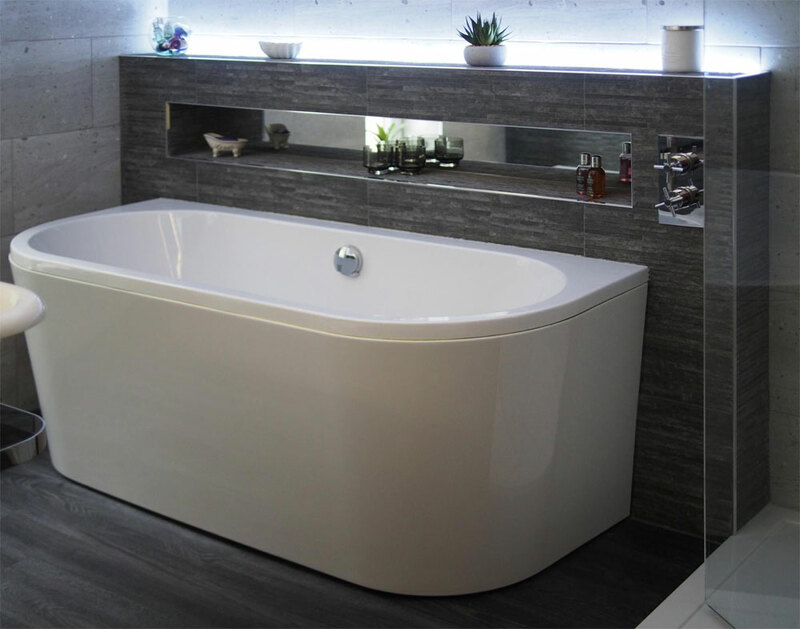 The walk-in shower, roll-top basin and contemporary bath make this a most luxurious and desirable bathroom. 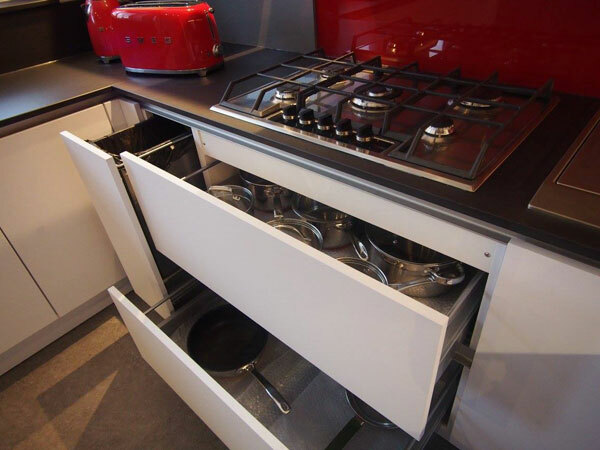 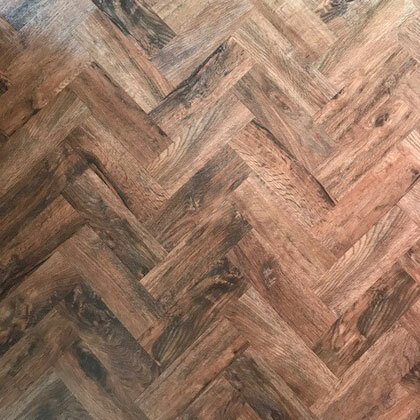 At John Longley’s we cater for a range of budgets without compromising on quality and style. 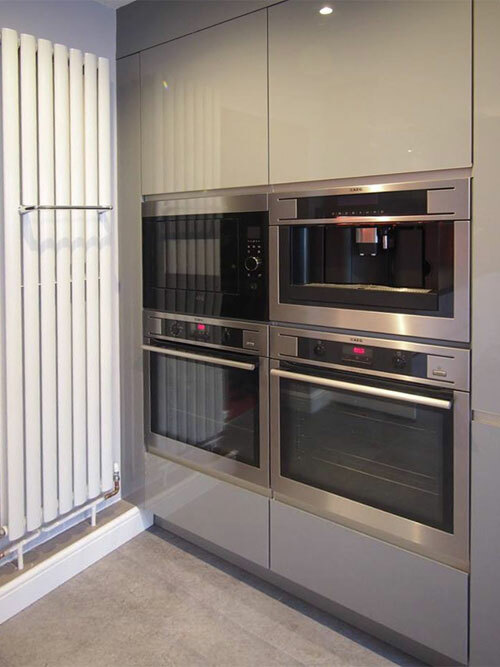 This is a perfect example of a look that can be achieved for under £4000. 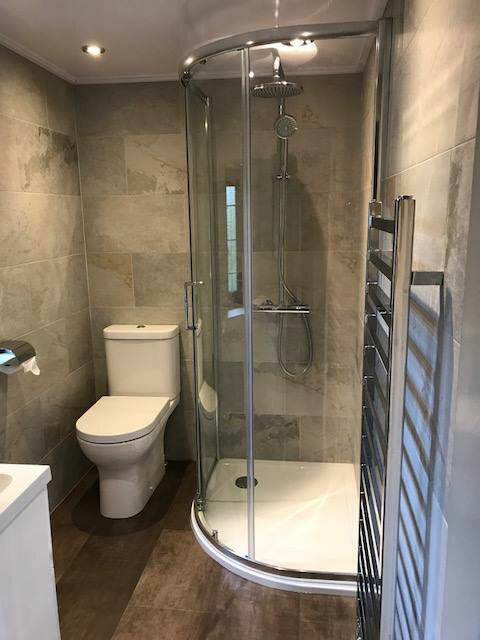 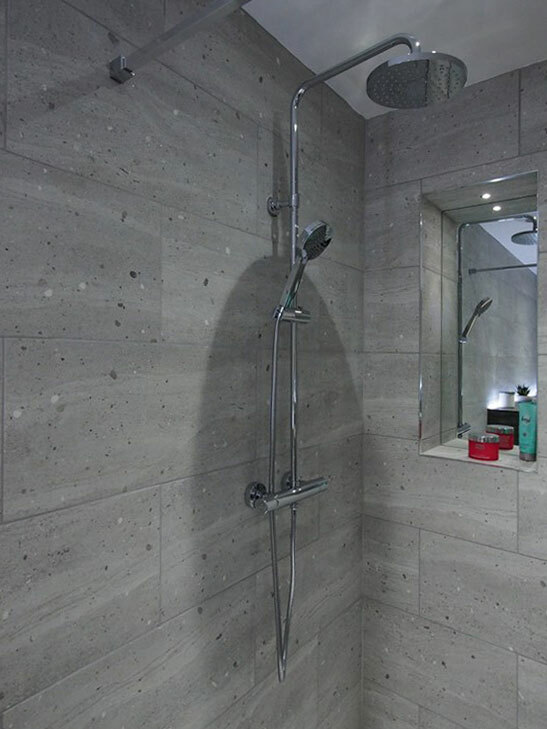 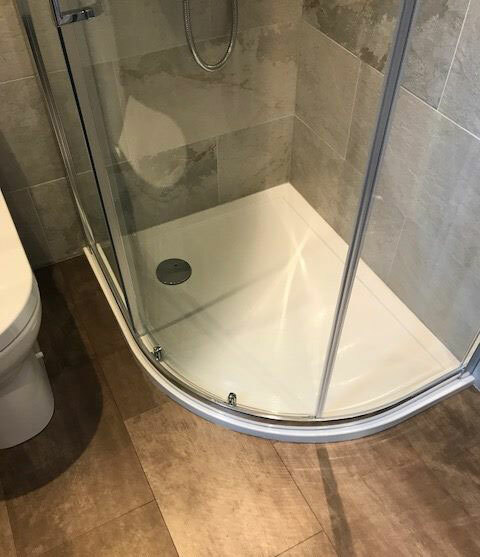 Using VitrA UK Ltd Rainforest White tiles we have designed a modern sophisticated shower room that is easy to maintain. 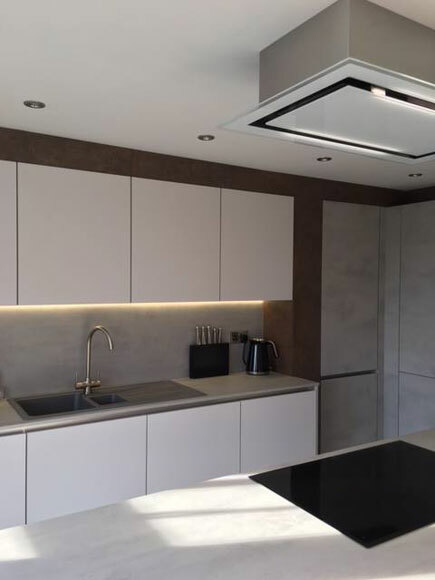 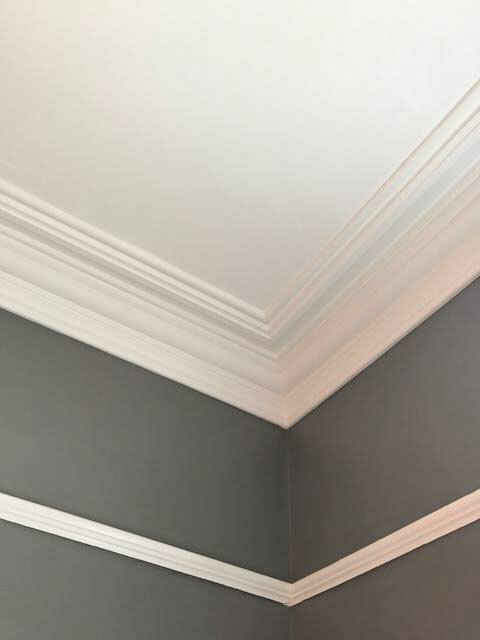 The ceiling board completes the room and gives a lasting effective clean finish. 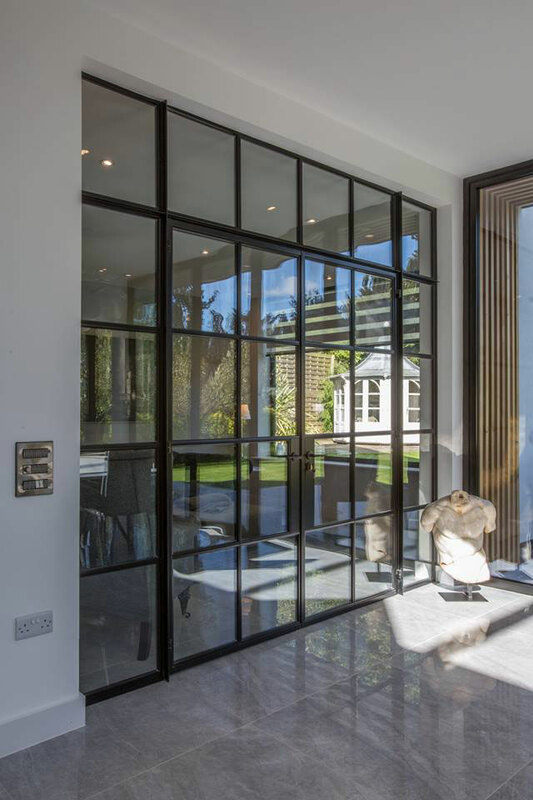 This traditional country property masters the delicate balance of old and new, blending classical with contemporary to achieve beautiful results. 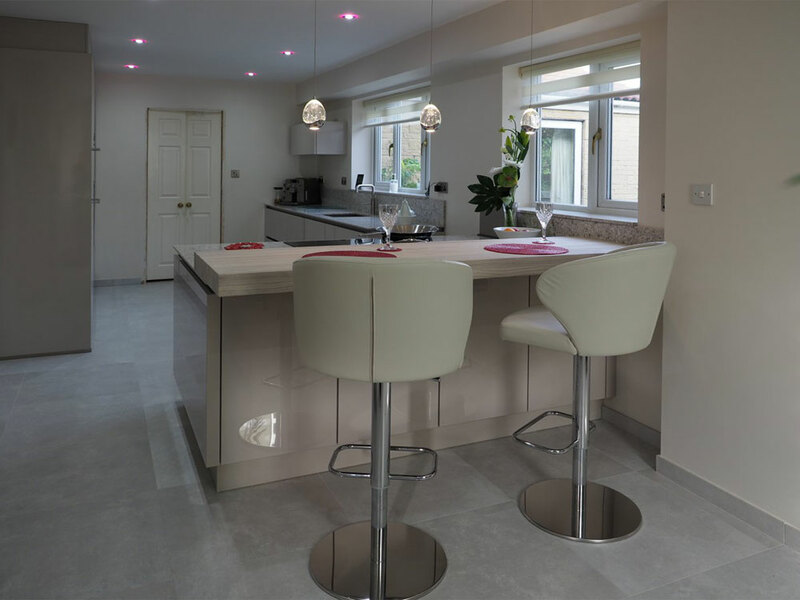 The natural stone tiled wall and splashes of green combine natural beauty with practicality creating a gorgeous family kitchen. 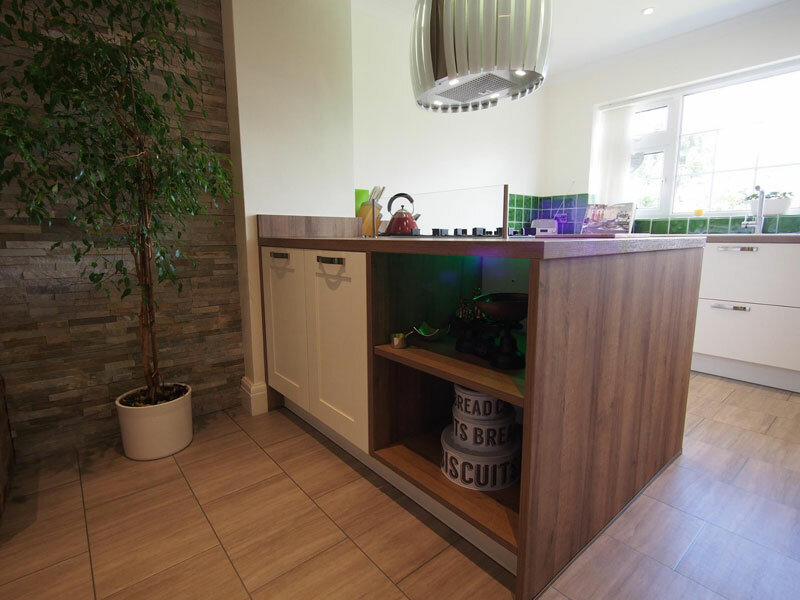 The 2 different door styles blend seamlessly and the Ontario Oak work surfaces add a dash of vibrancy. 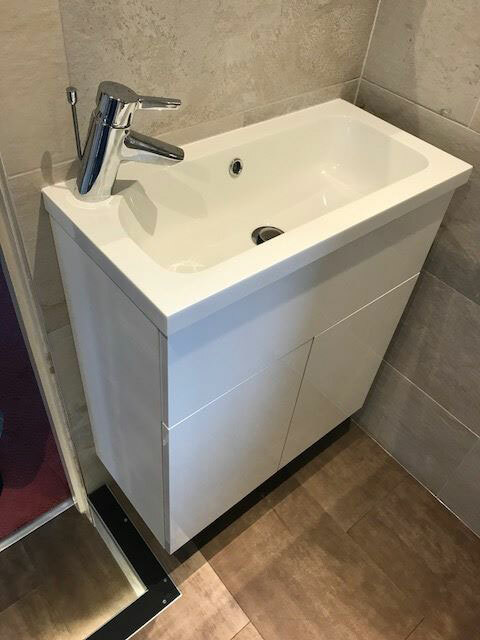 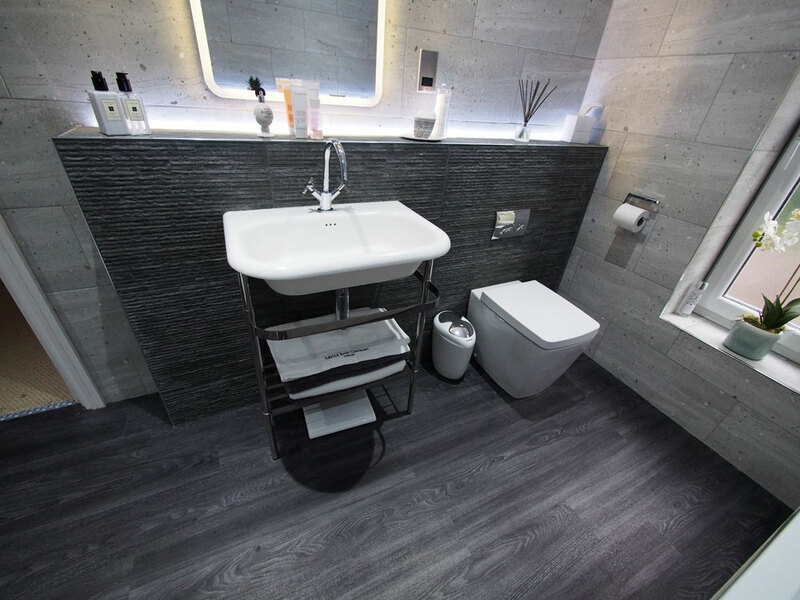 The beautiful Villeroy & Boch ceramic sink is a nice alternative to a Belfast style sink and the Amtico Linear Stone Shale flooring completes the look. 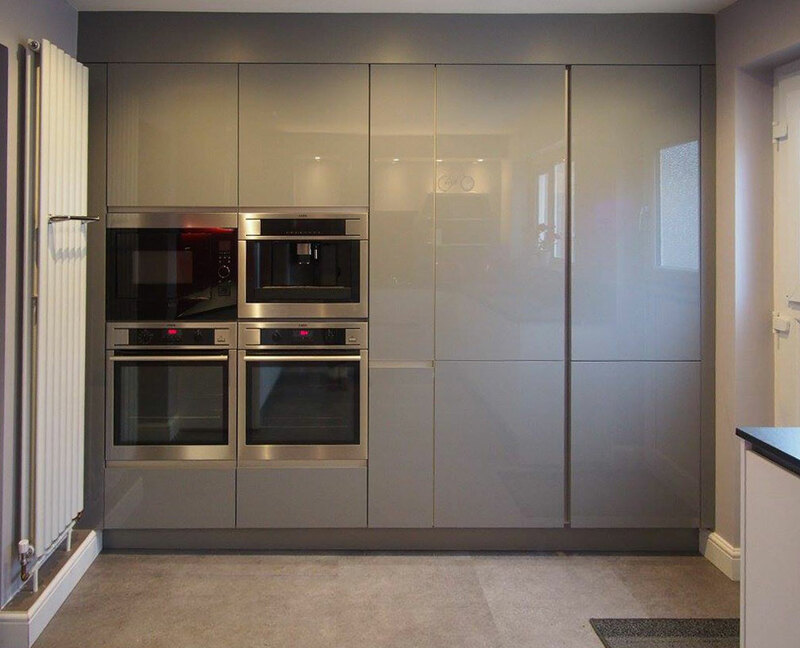 A gloss grey finish combined with retro style handles to create a stylish setting. 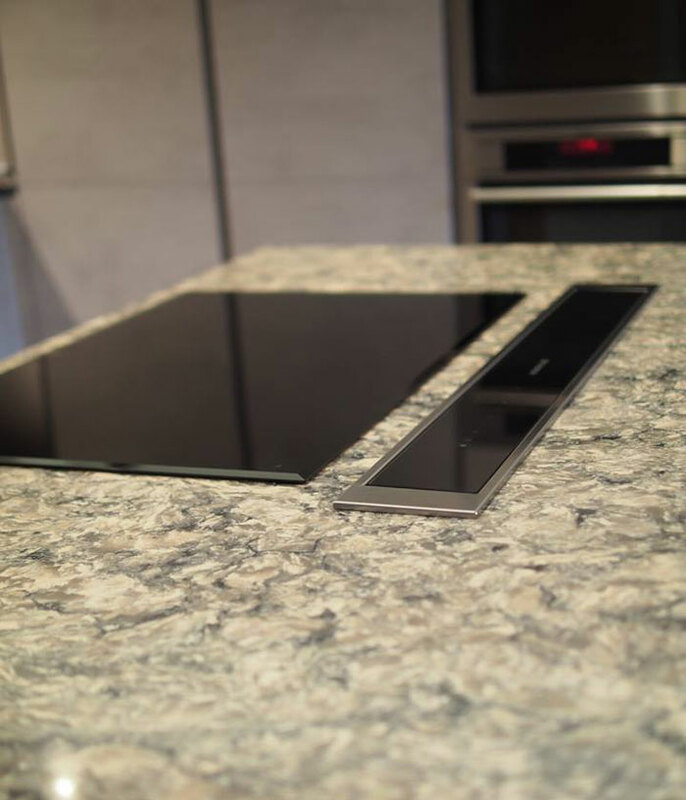 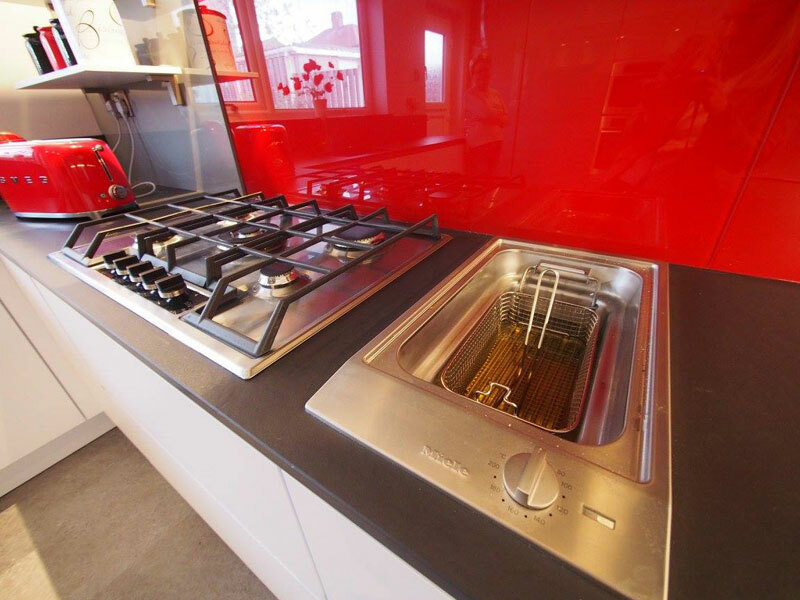 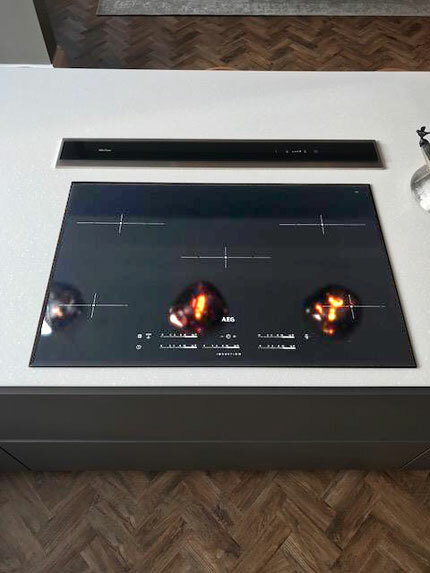 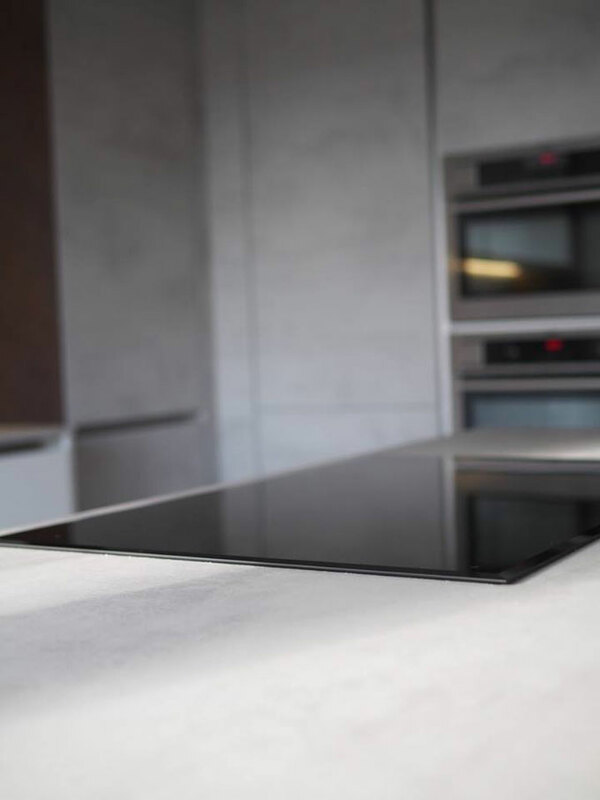 The AEG culinary range with retractable controls offers the ultimate in a state of the art cooking experience. 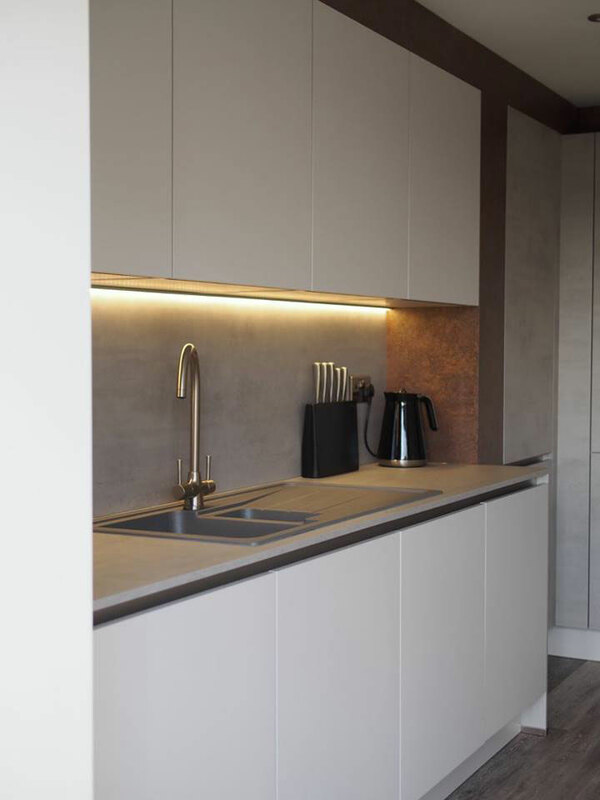 The smoked grey splashback enhances the space and the split face tiles form an urban yet elegant feel. 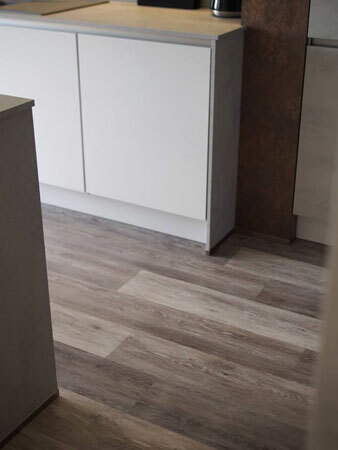 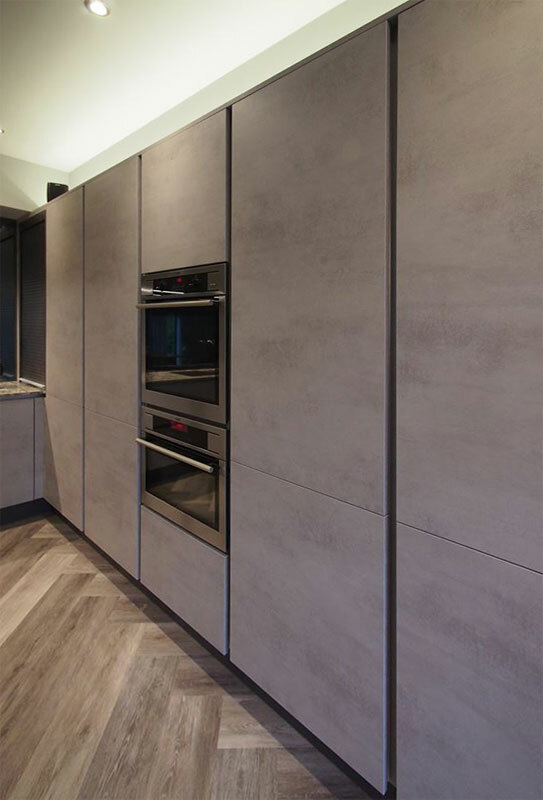 Matt Satin Grey and Concrete Grey doors are complemented by the new Ferro Bronze effect laminate to create a modern but earthy mix of modern industrial. 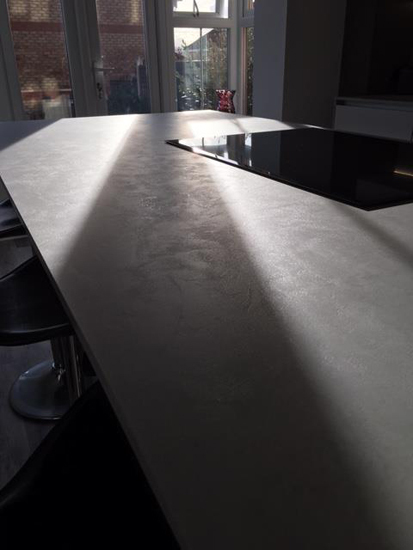 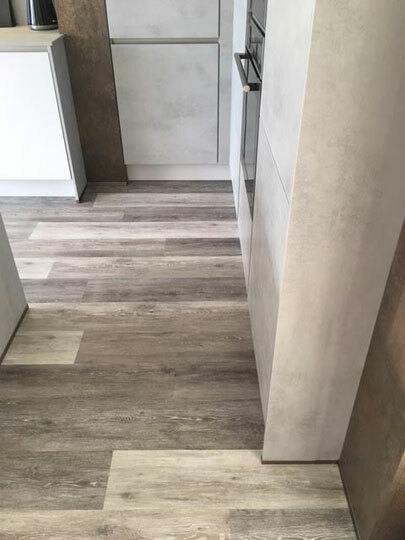 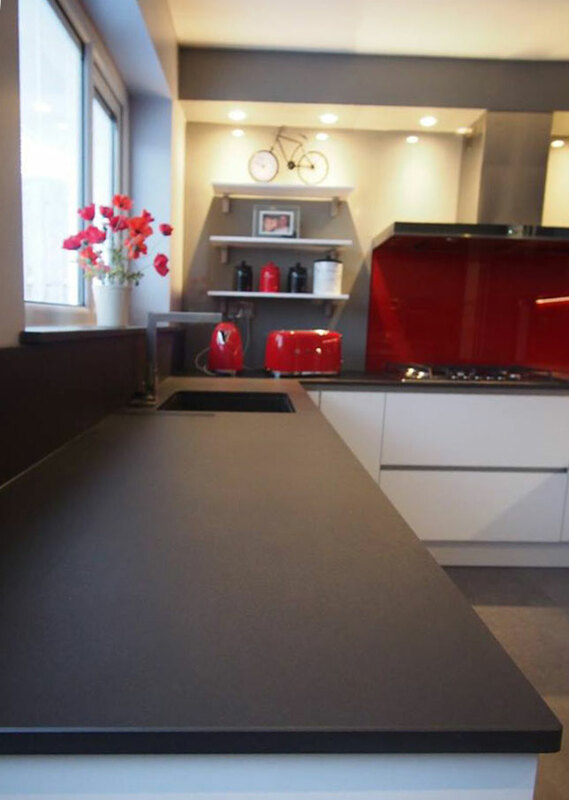 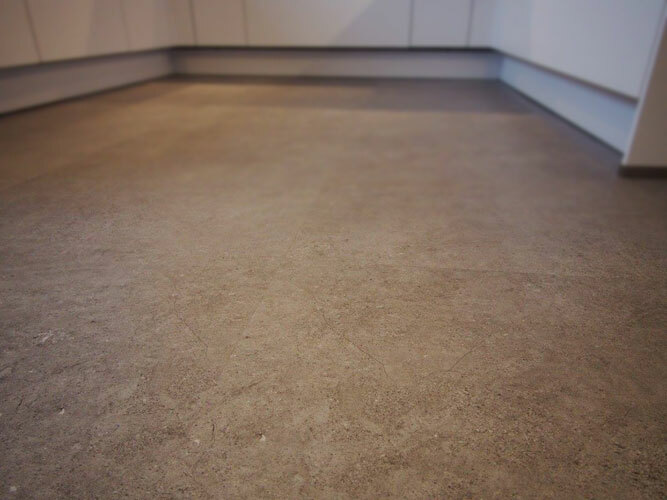 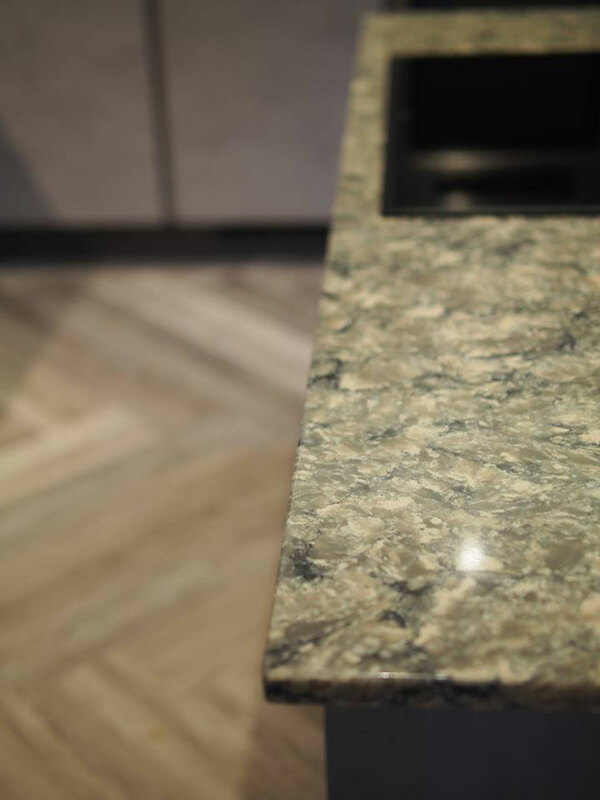 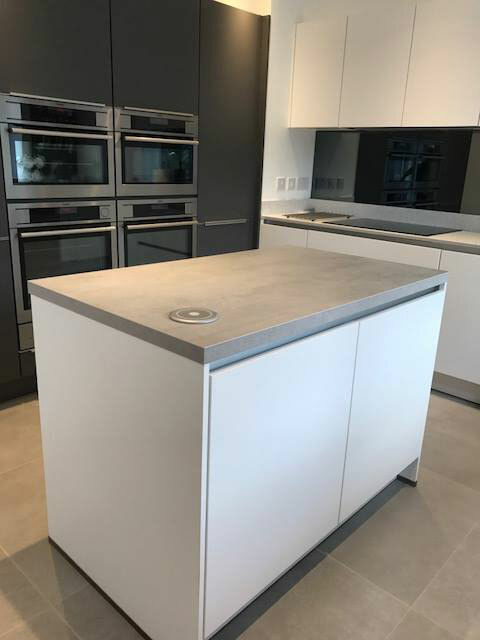 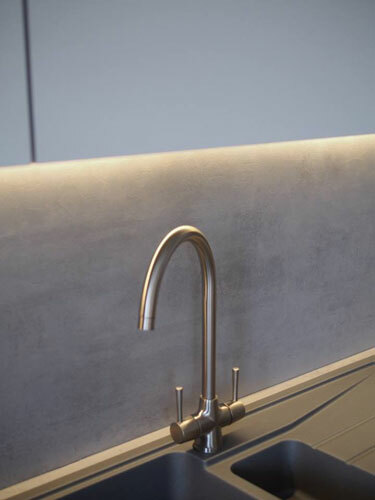 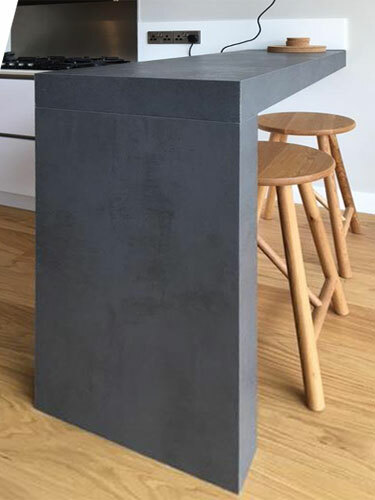 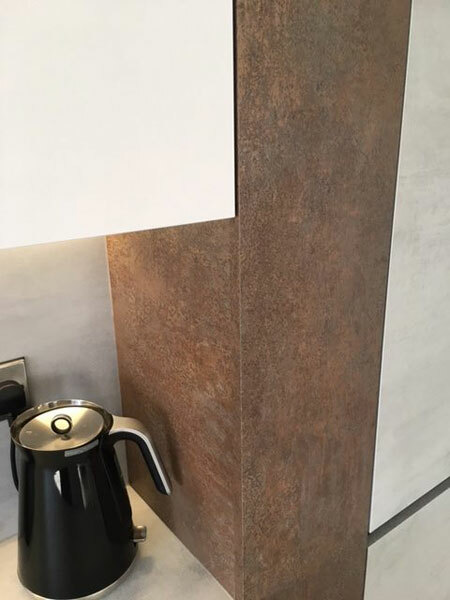 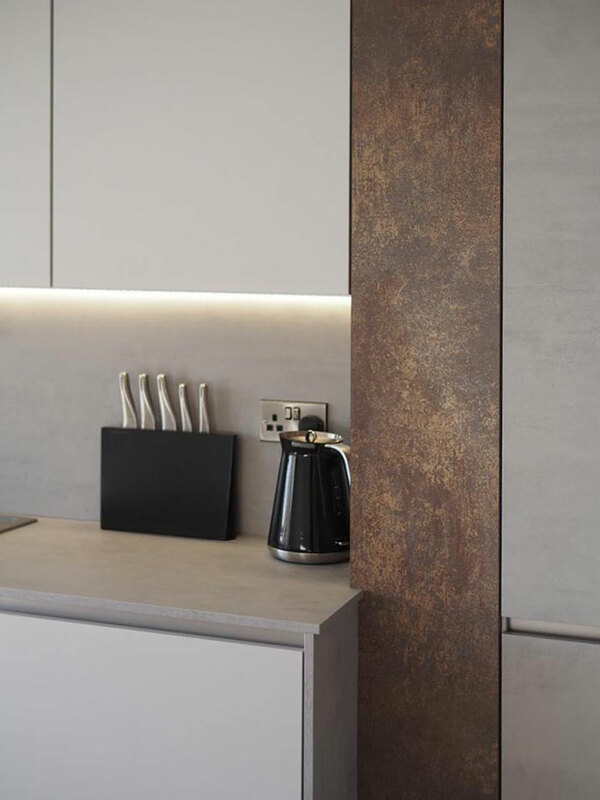 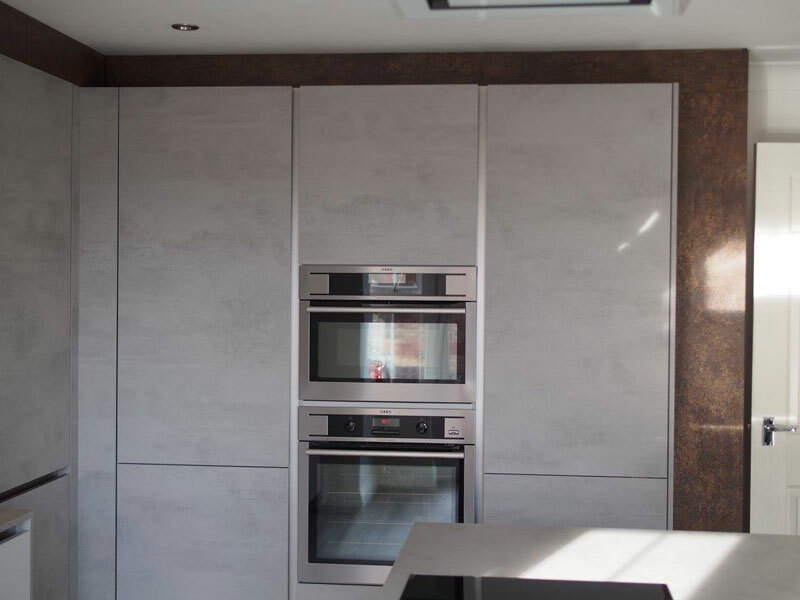 The Concrete Grey 16mm thick worktop further enhances this effect, as does the back splash and end panels which contrast beautifully with the Ferro Bronze cladding. 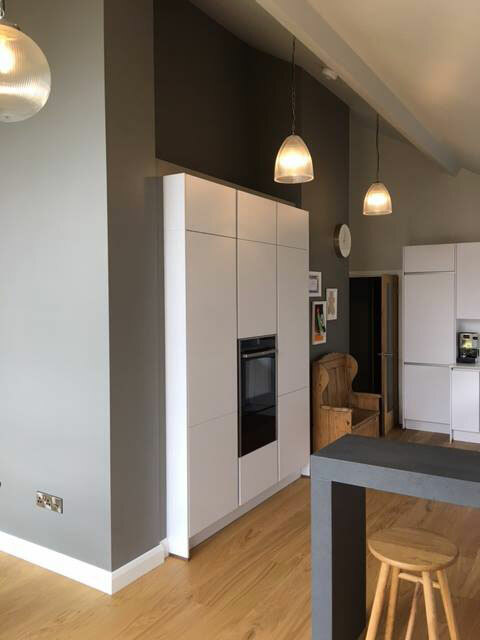 Tall units provide generous storage and housing for the appliances as well as offering a contrast to the Satin Grey base units. 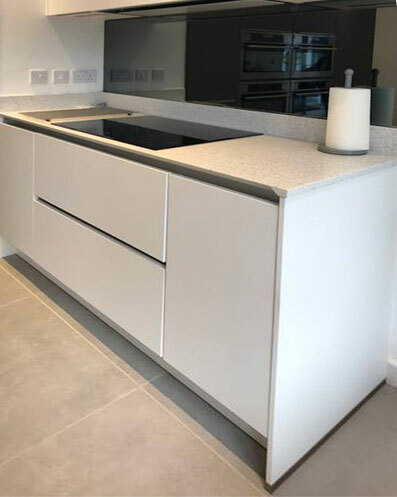 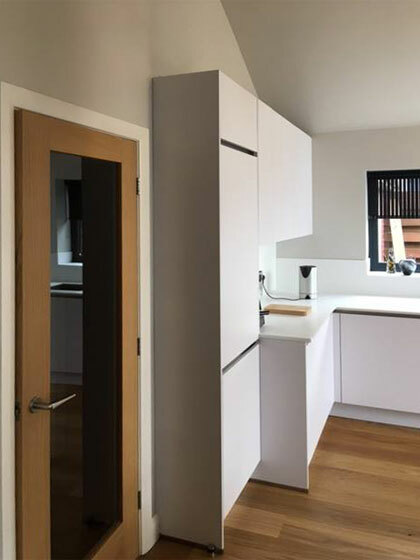 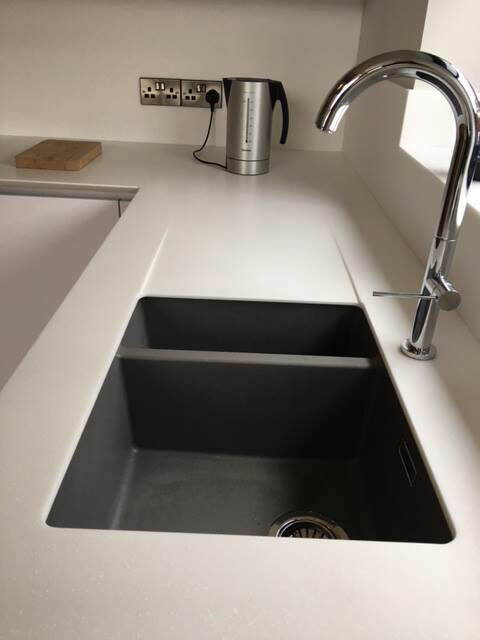 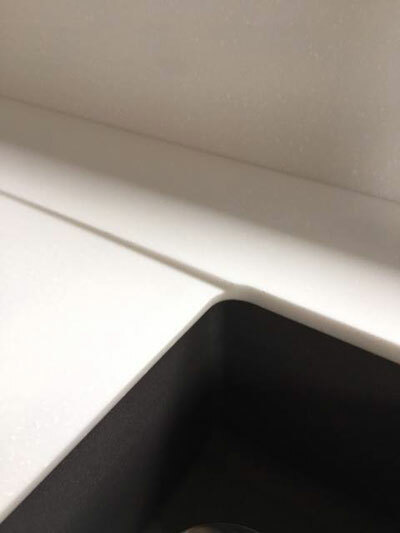 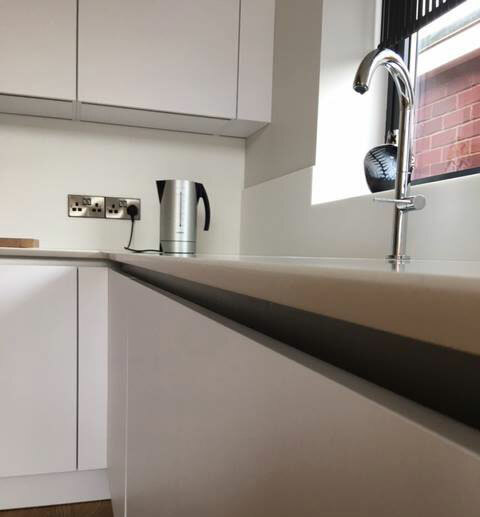 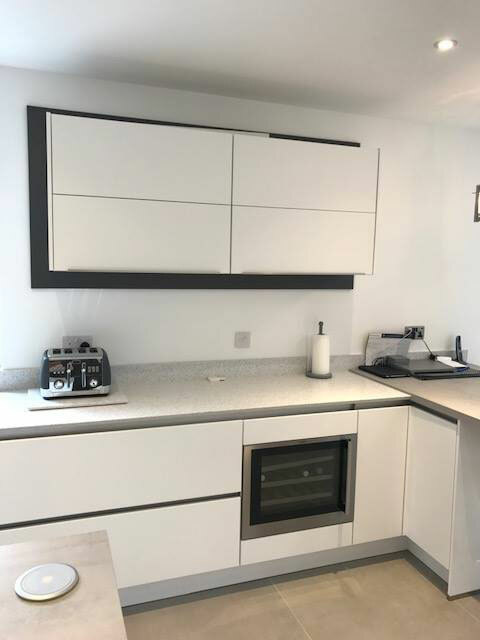 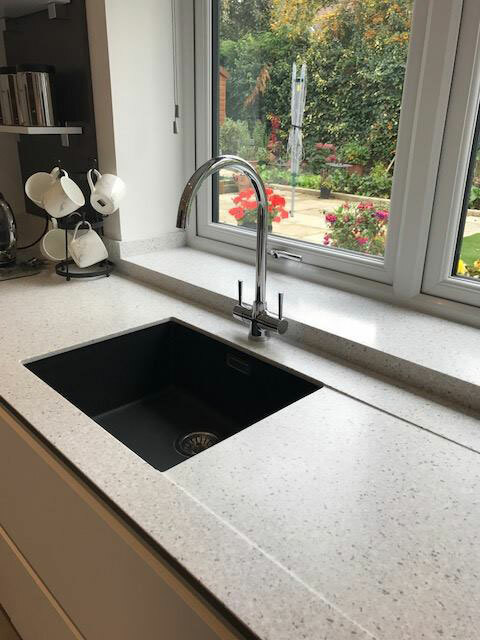 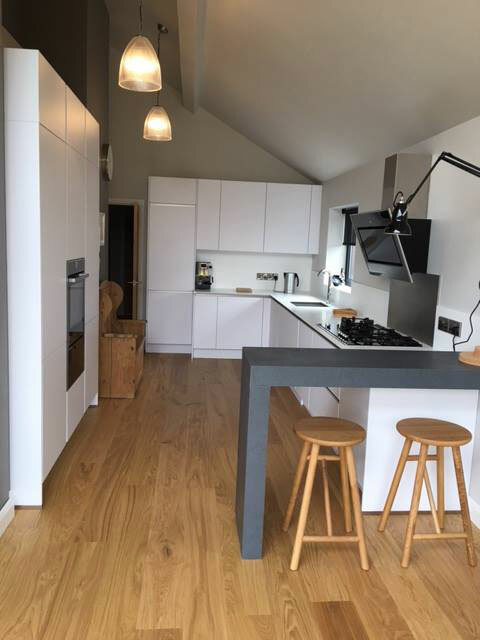 Matt white handle-less units are matched with Corian work surfaces and Oxide Décor breakfast bar area to create this clean, simple Scandinavian influenced design.